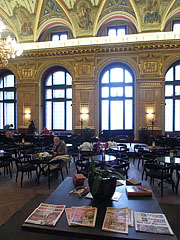 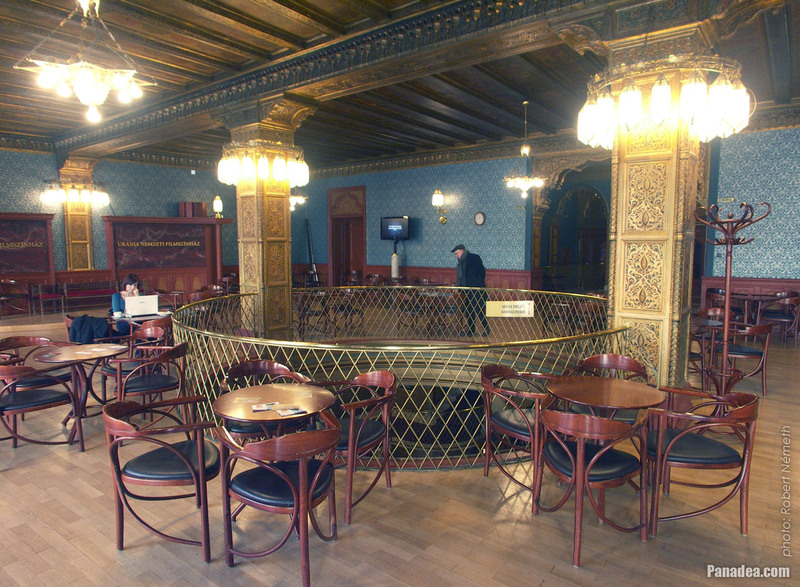 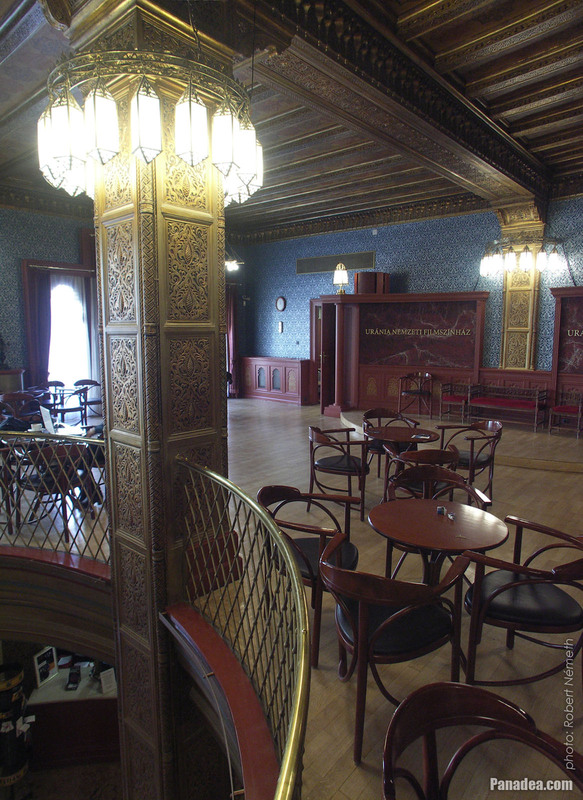 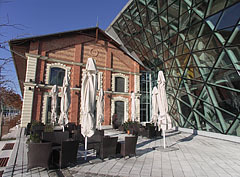 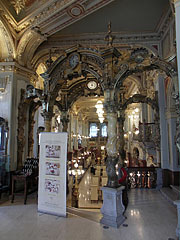 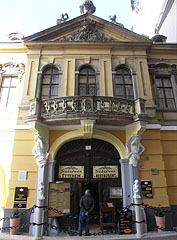 The Lotz Hall is inside the former Terézváros Casino building. 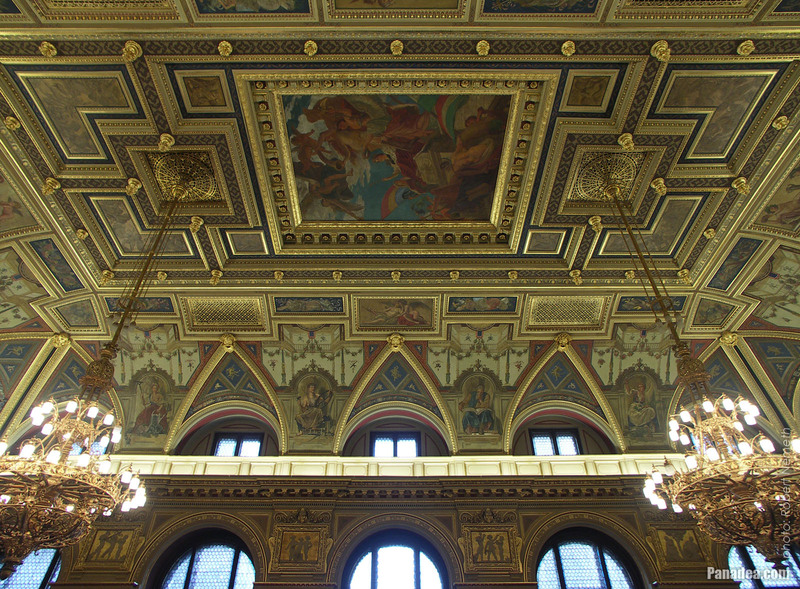 The mural on the ceiling is called "The apotheosis of Budapest", created by Károly Lotz Hungarian painter in 1885. 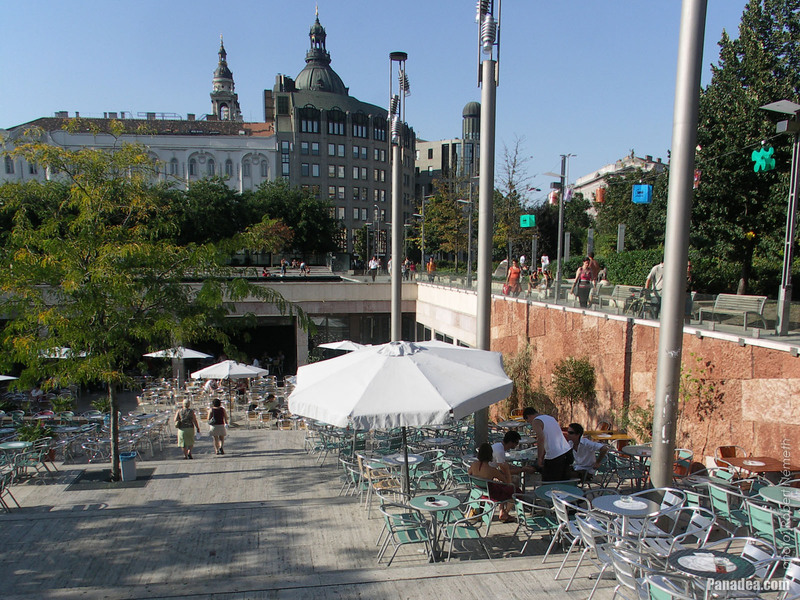 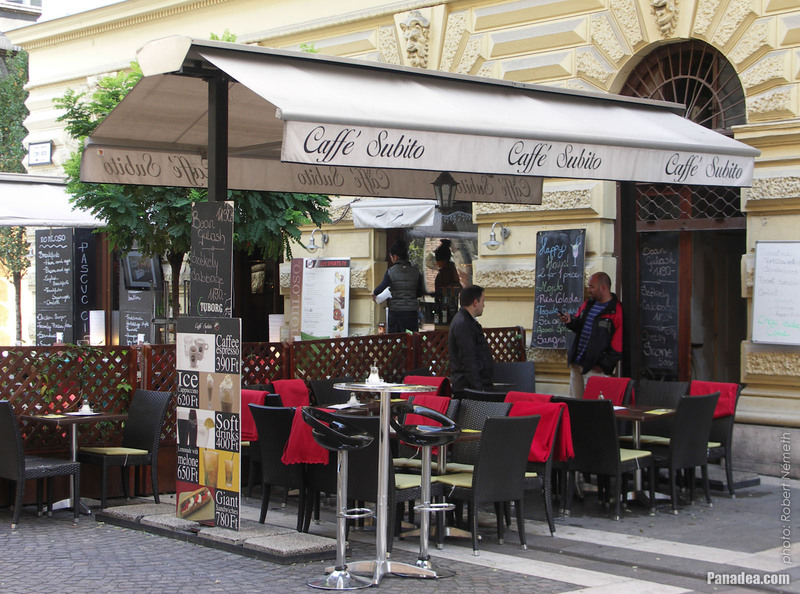 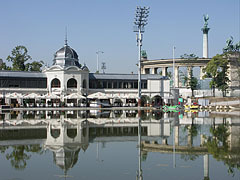 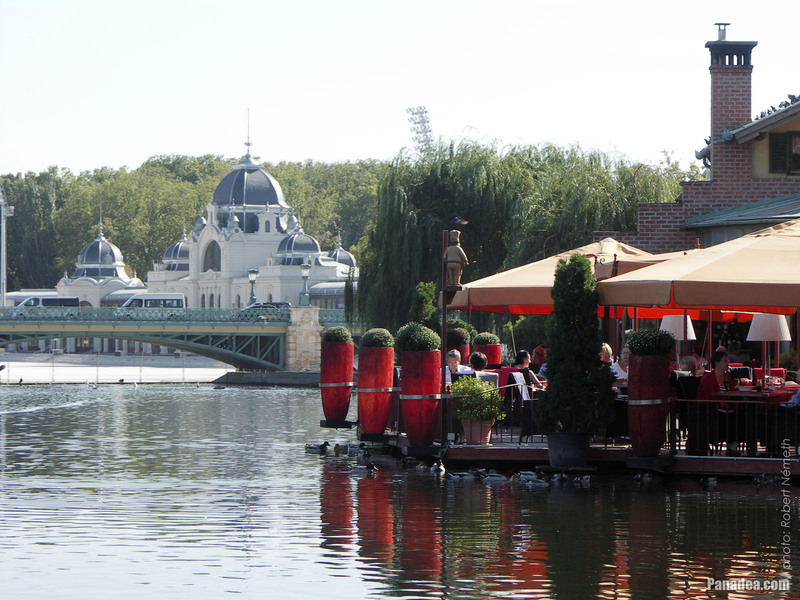 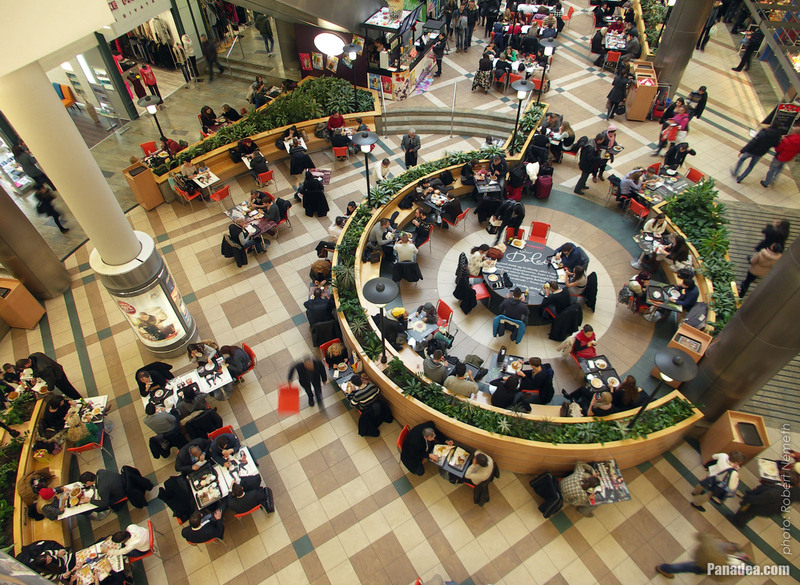 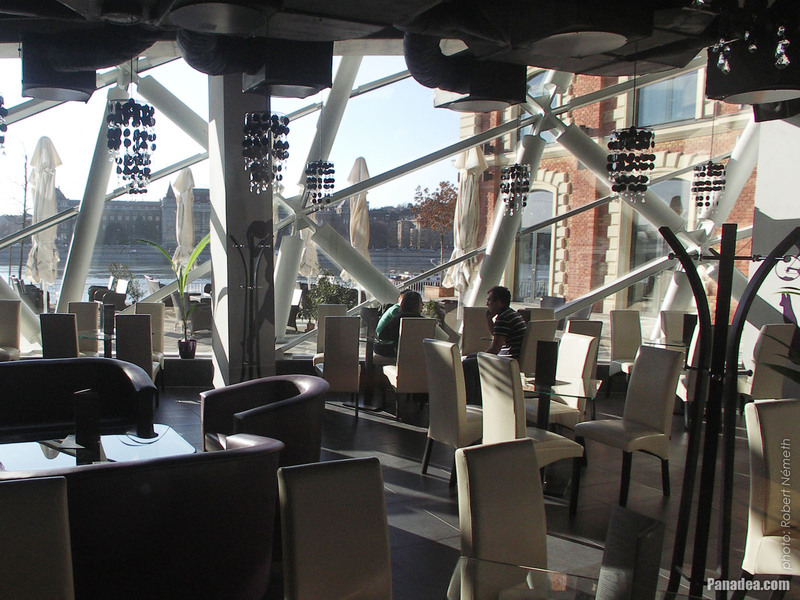 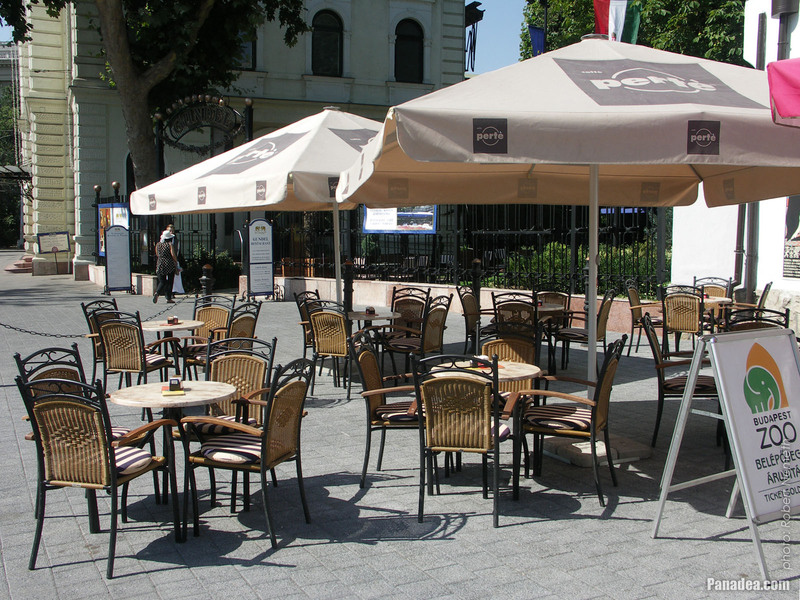 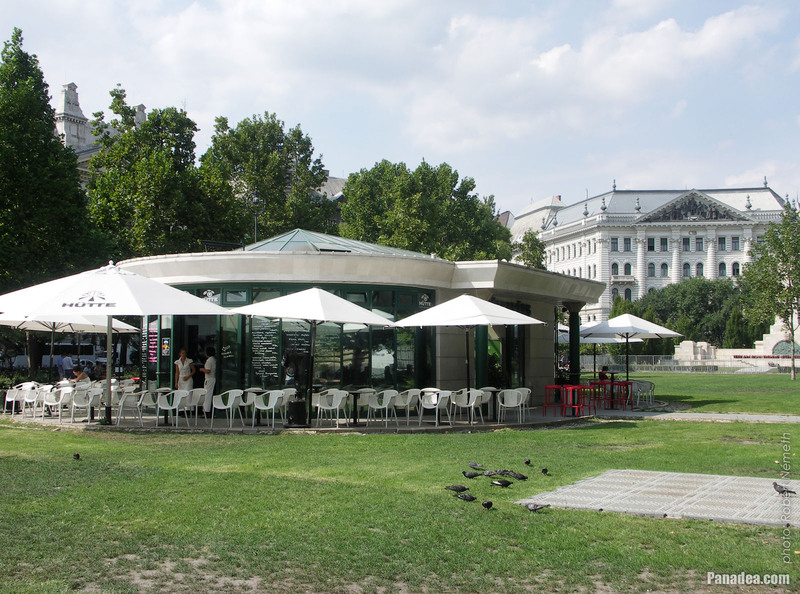 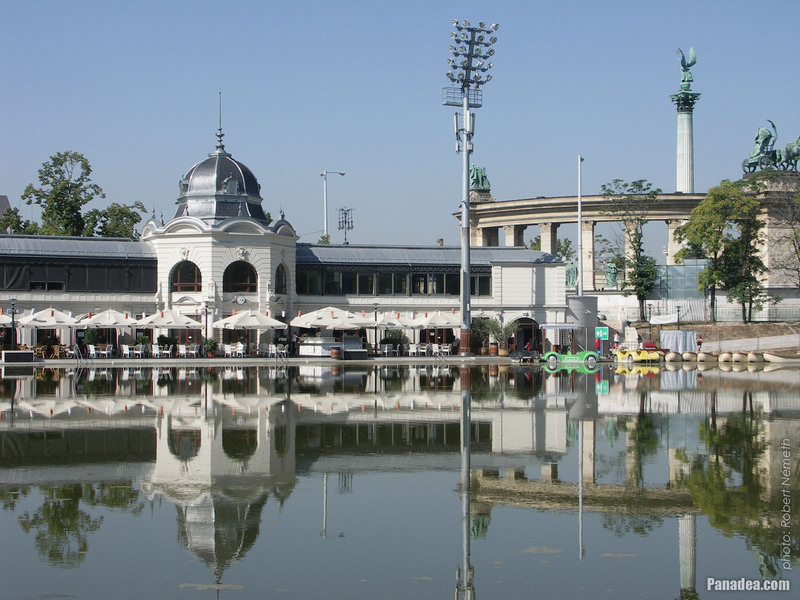 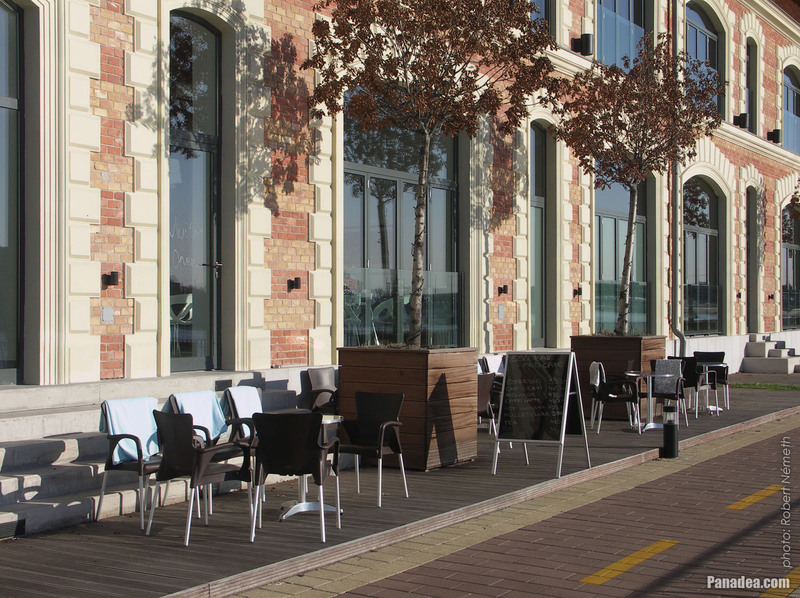 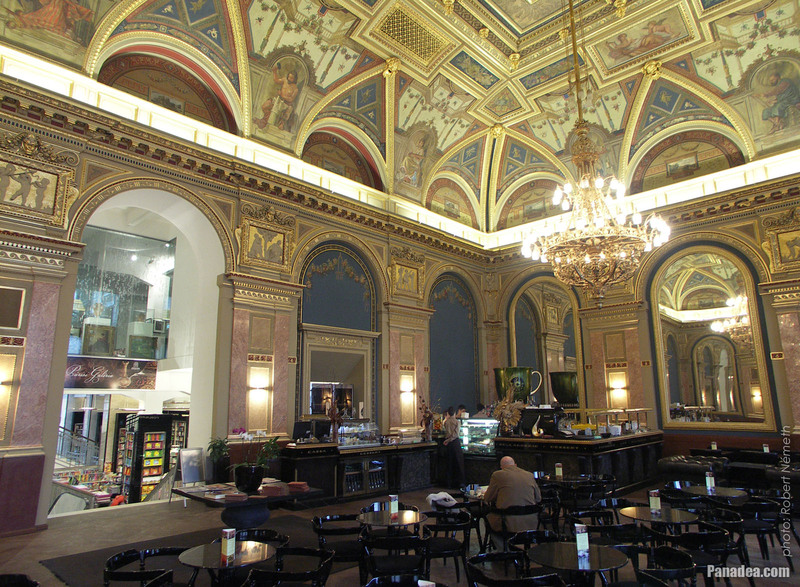 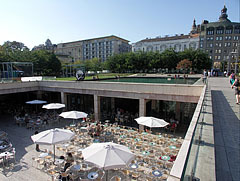 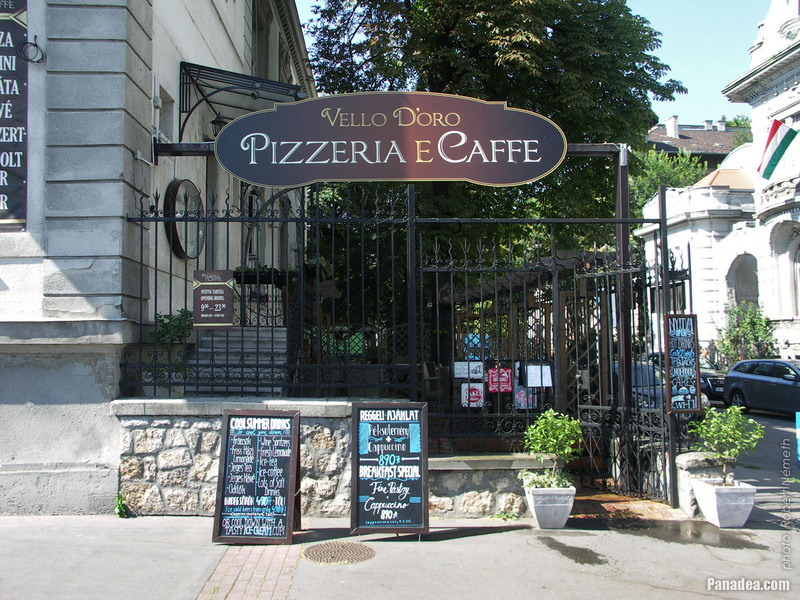 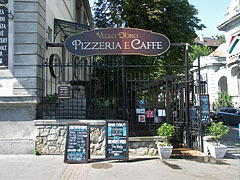 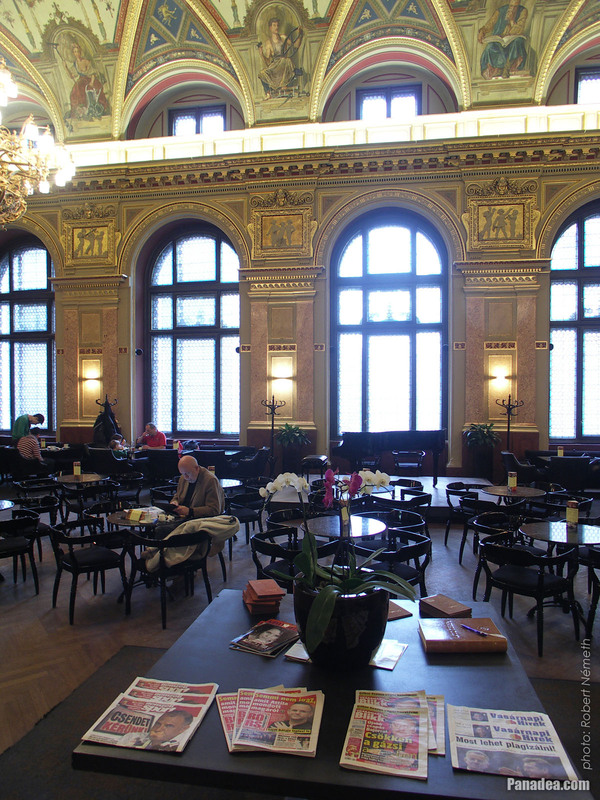 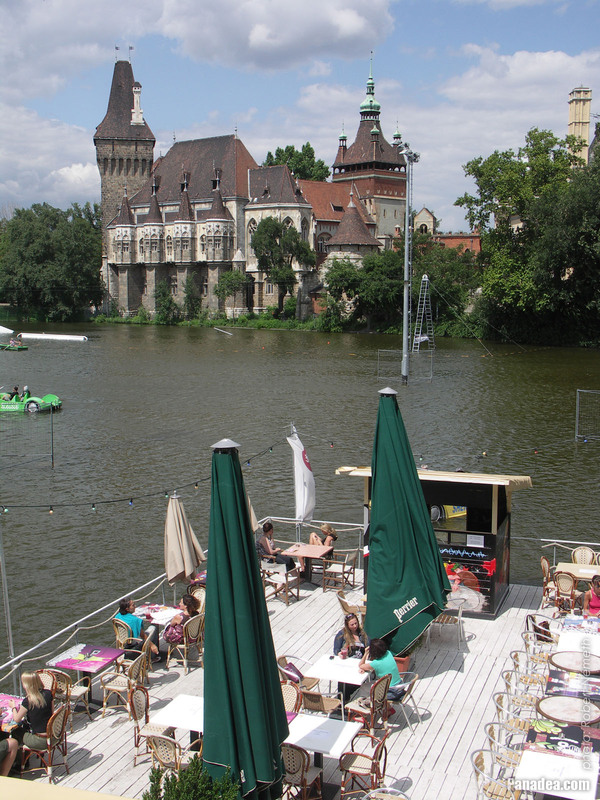 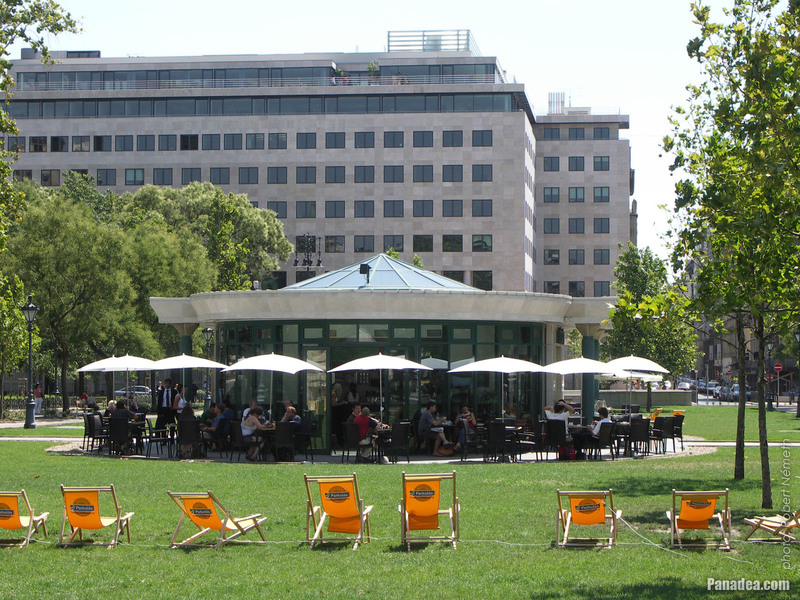 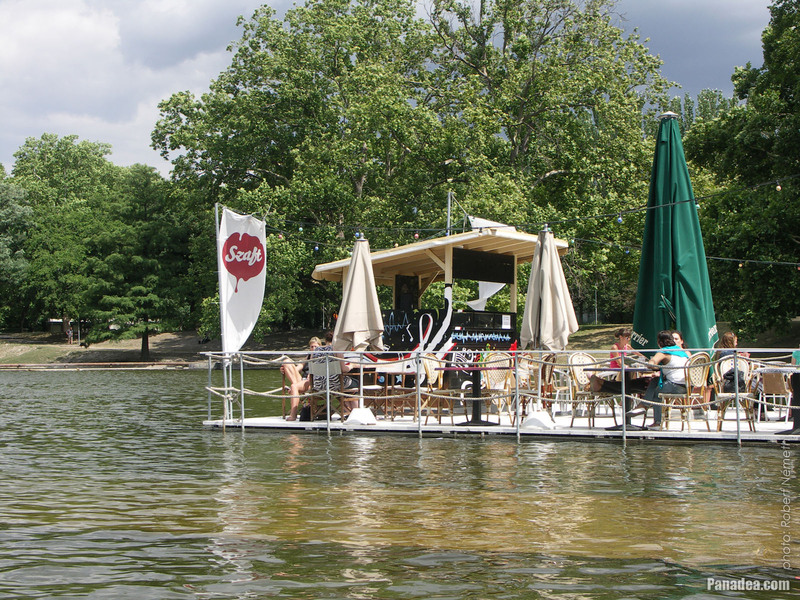 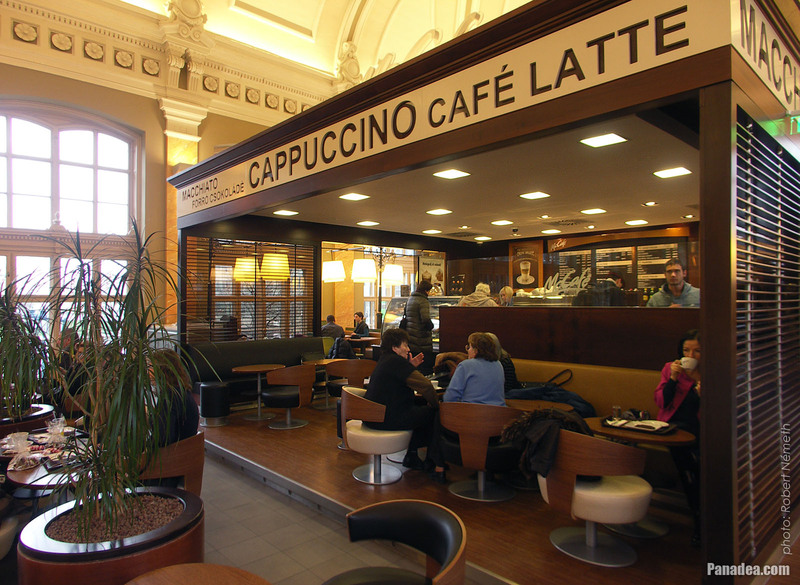 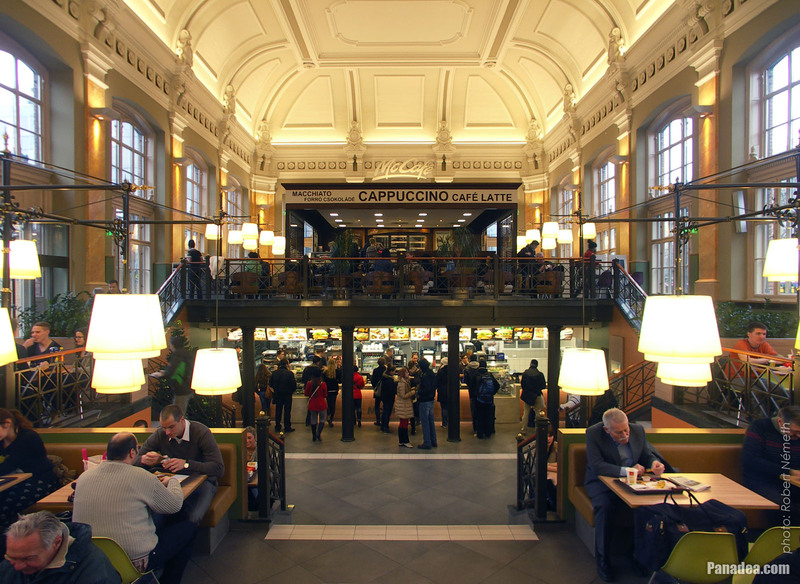 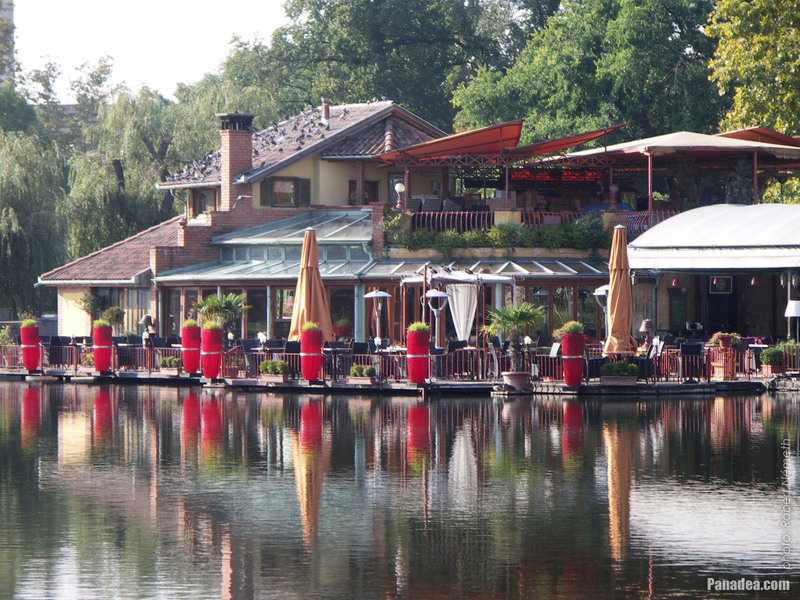 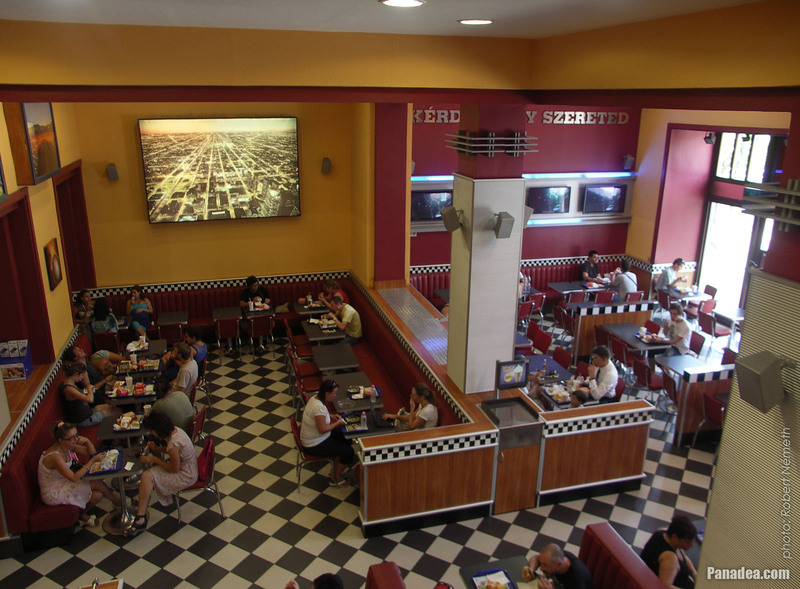 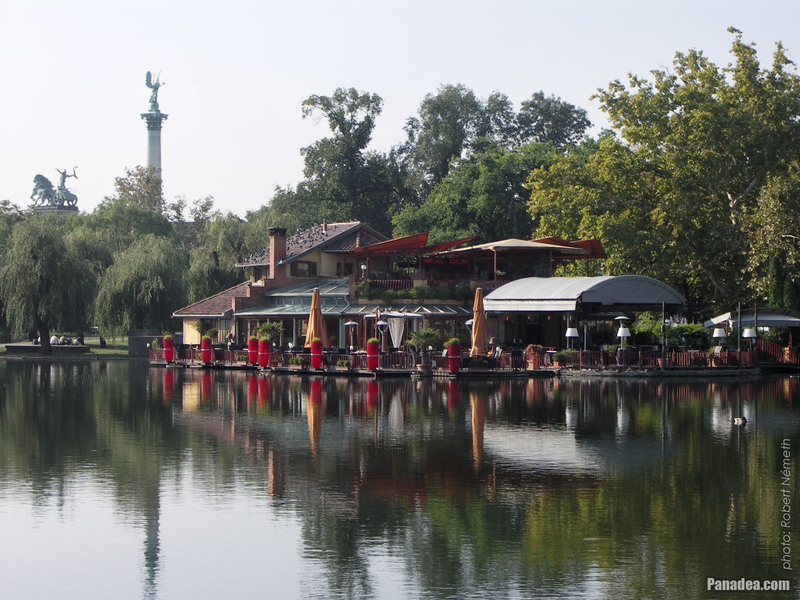 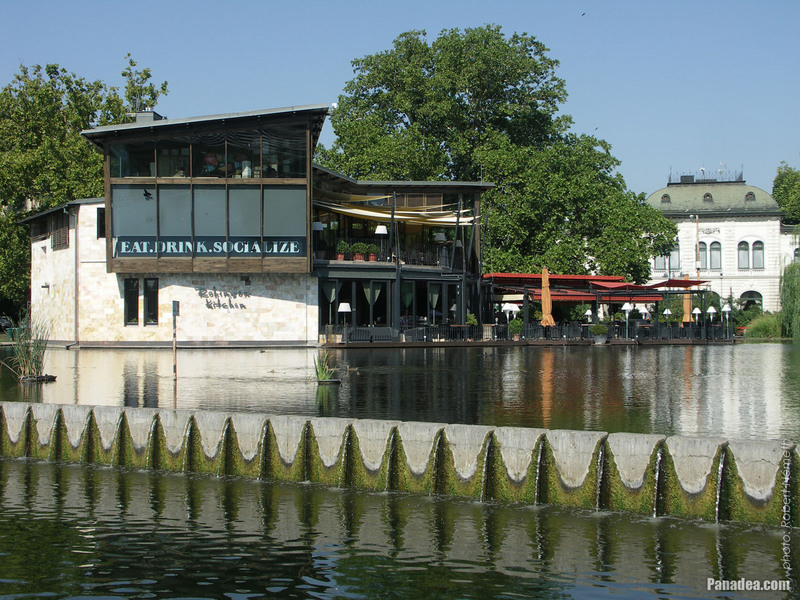 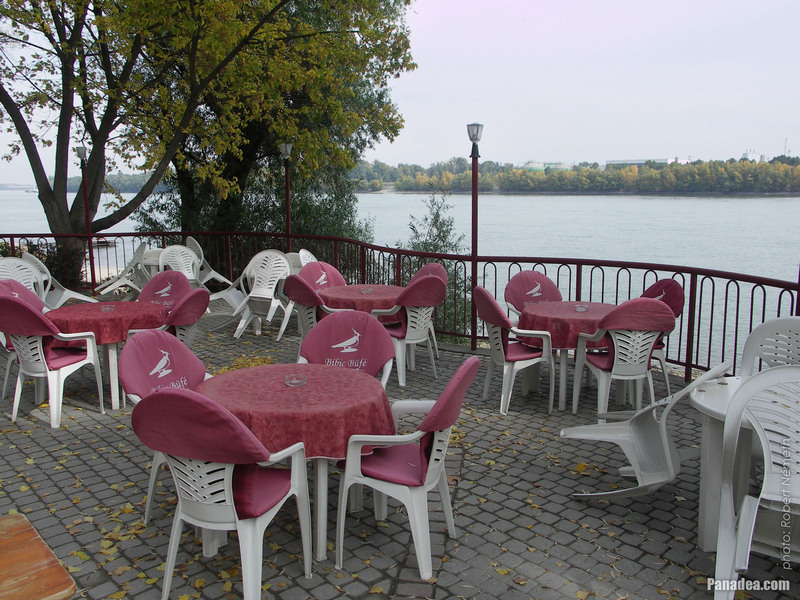 The OlimpiCafé coffee bar in the Bálna Budapest shopping center on the Danube Bank is owned by the three-time Olympic champion water polo player Zoltán Szécsi. 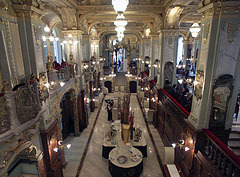 The Art Nouveau (secession) style Paris Department Store (in Hungarian "Párizsi Nagy Áruház" or "Divatcsarnok") on the elegant Andrássy Avenue was built in 1909 on the site of the former Casino of Terézváros club, designed by the Hungarian architect Vilmos Sziklai. Not so widely known that it had a predecessor with the same name. 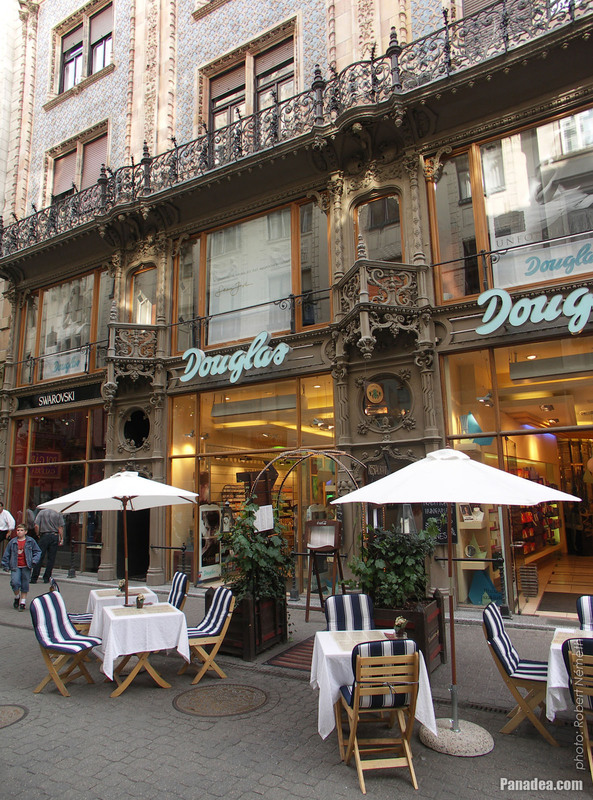 The first Peris Department Store of Sámuel Goldberger was built in 1892 at 38 Rákóczi Road, but in a fire in 1903 due to an electrical short circuit it was almost completely burned. To top it all there were 14 victims of the fire as well. 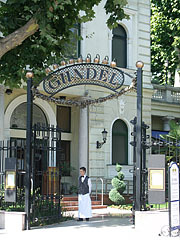 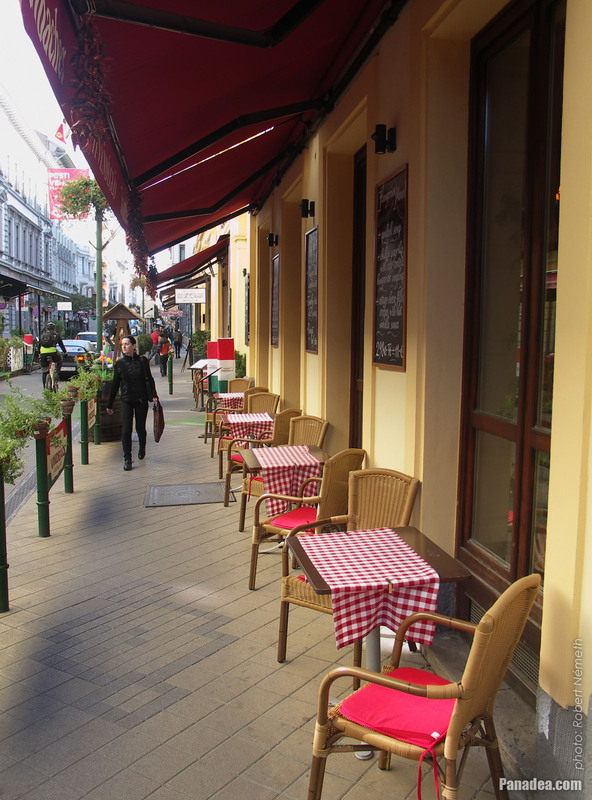 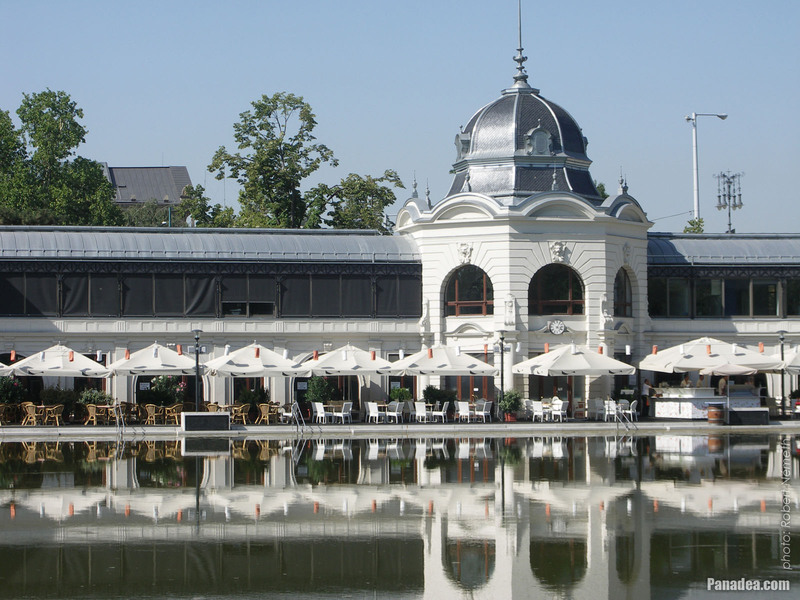 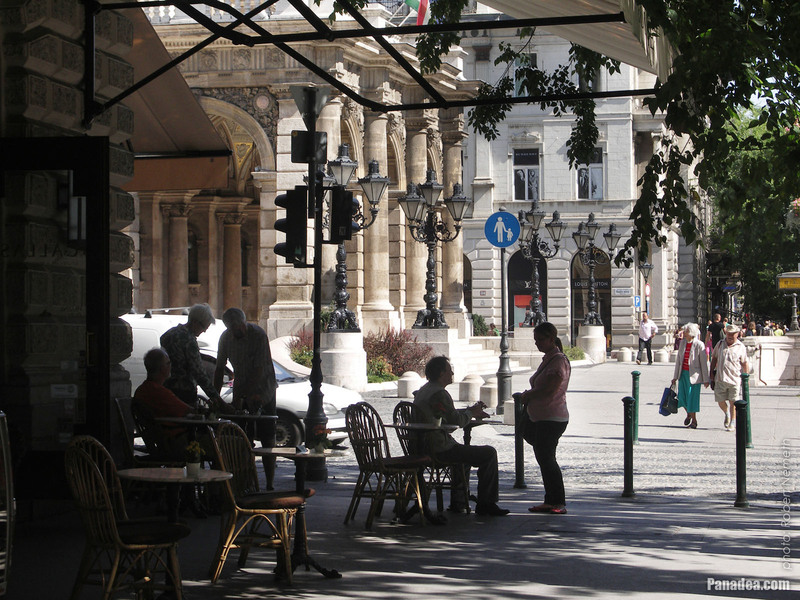 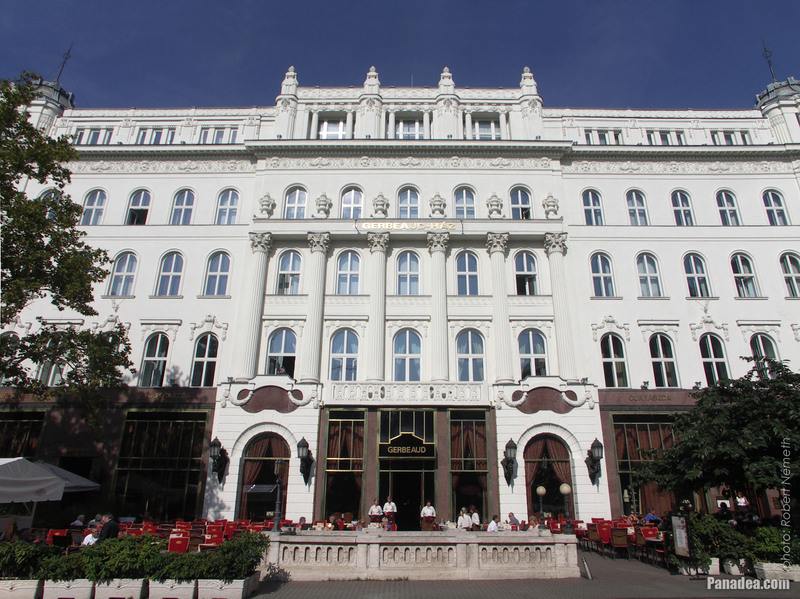 After this the owner was decided to build up the much professional Art Nouveau palace on the Andrássy Avenue and open a new shopping center. 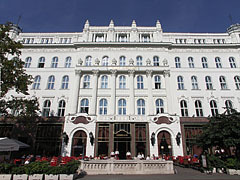 On the site of the Paris Department Store the neo-renaissance style Terézváros Casino was stood, which was built in 1884 and designed by Gusztáv Petschacher. 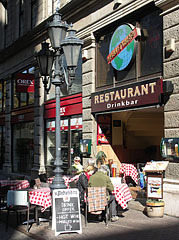 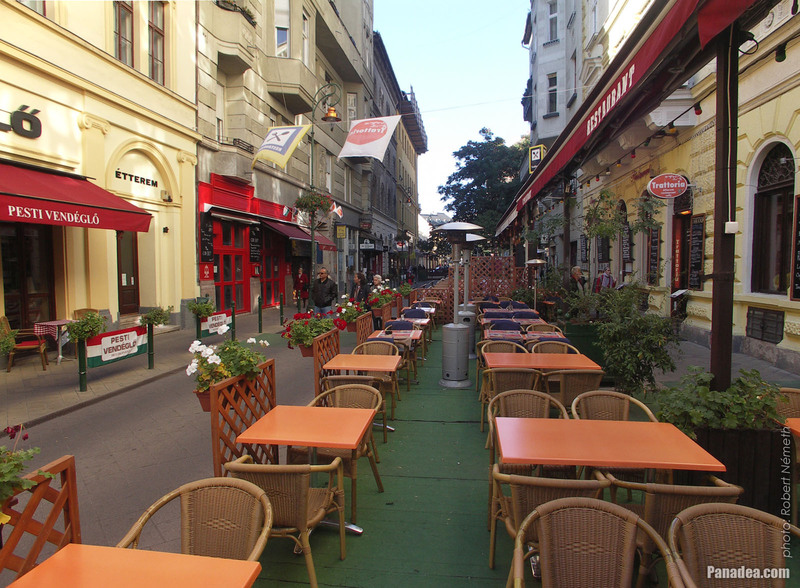 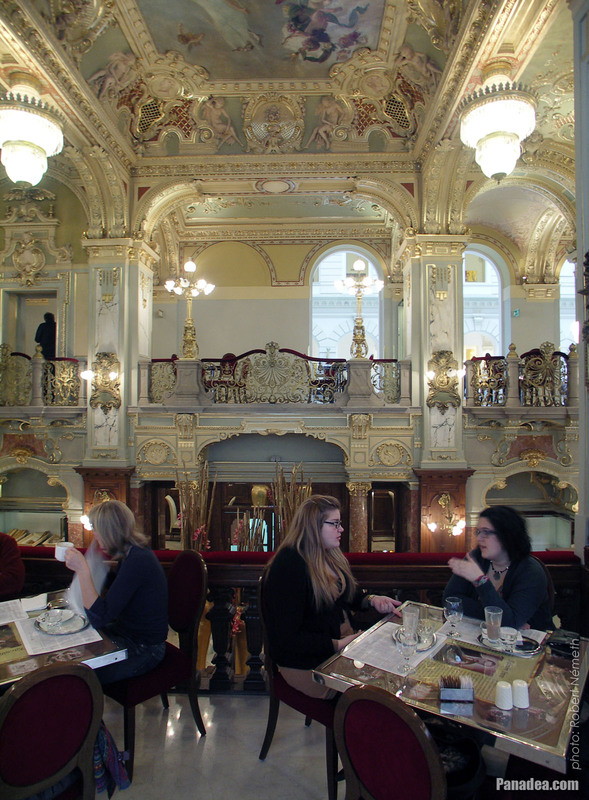 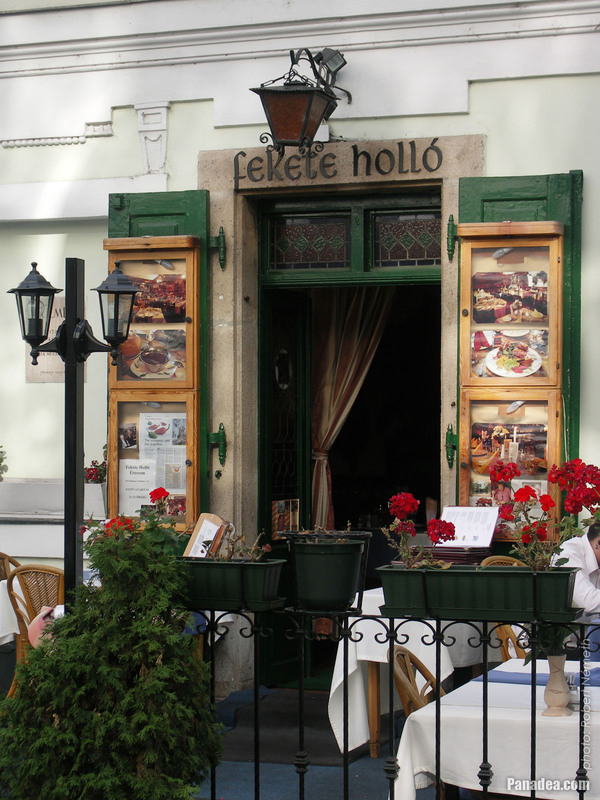 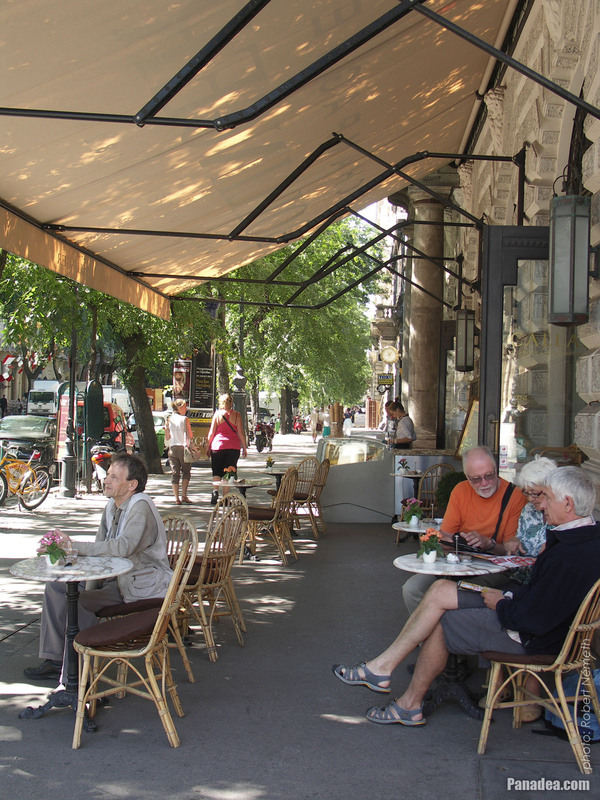 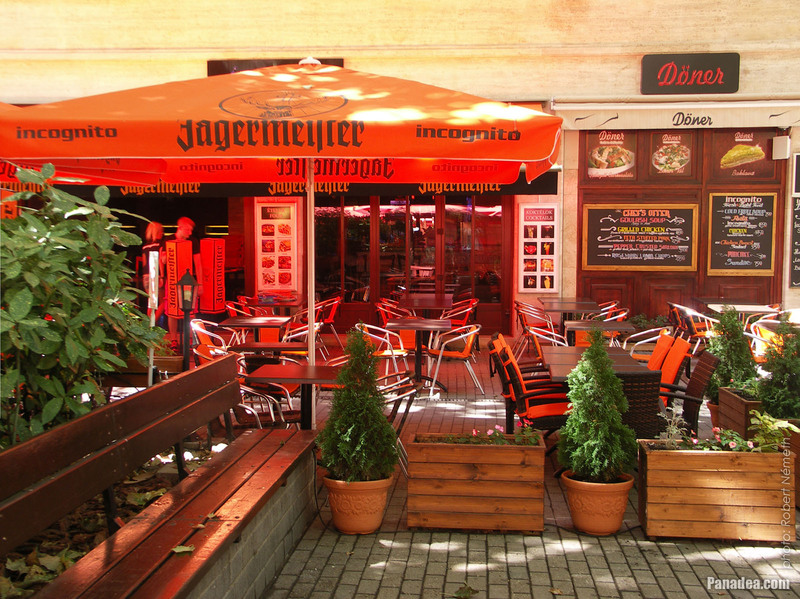 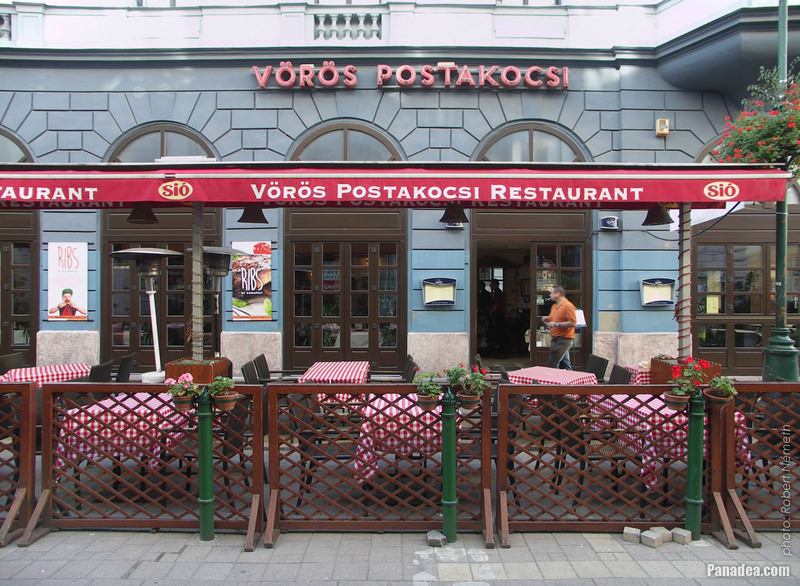 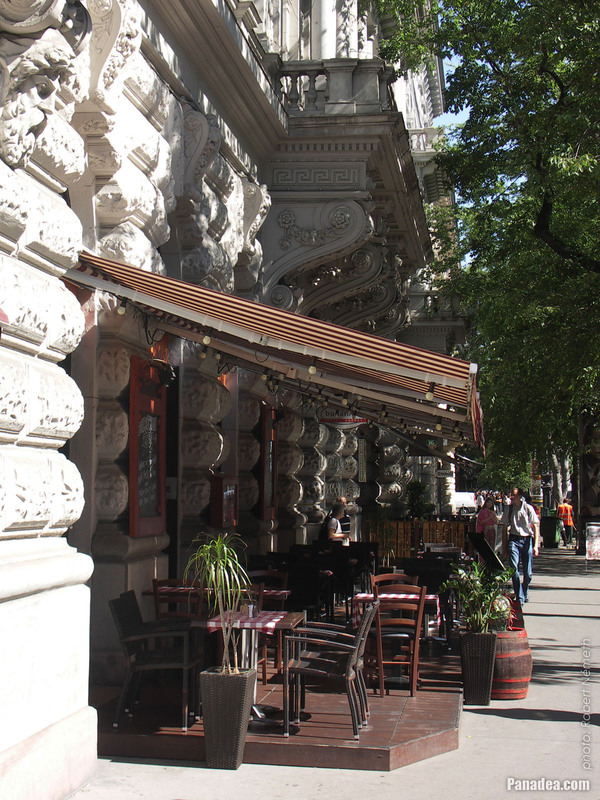 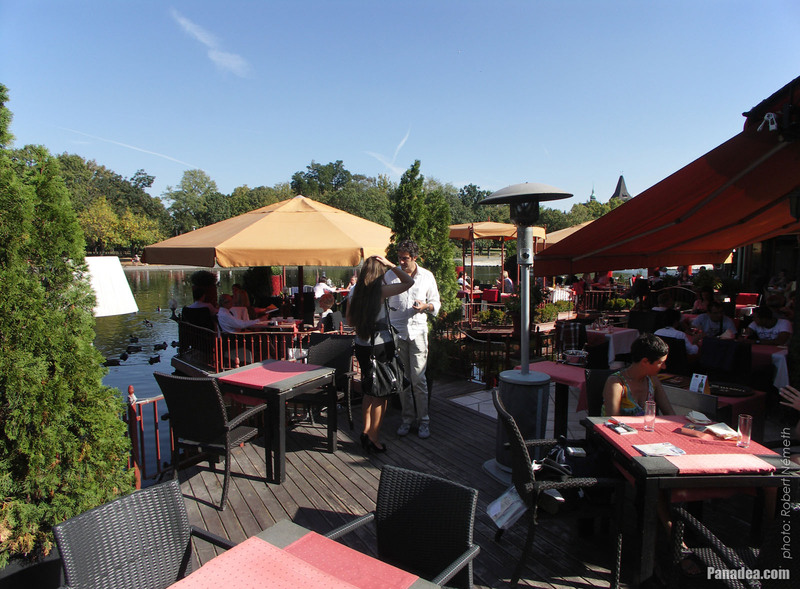 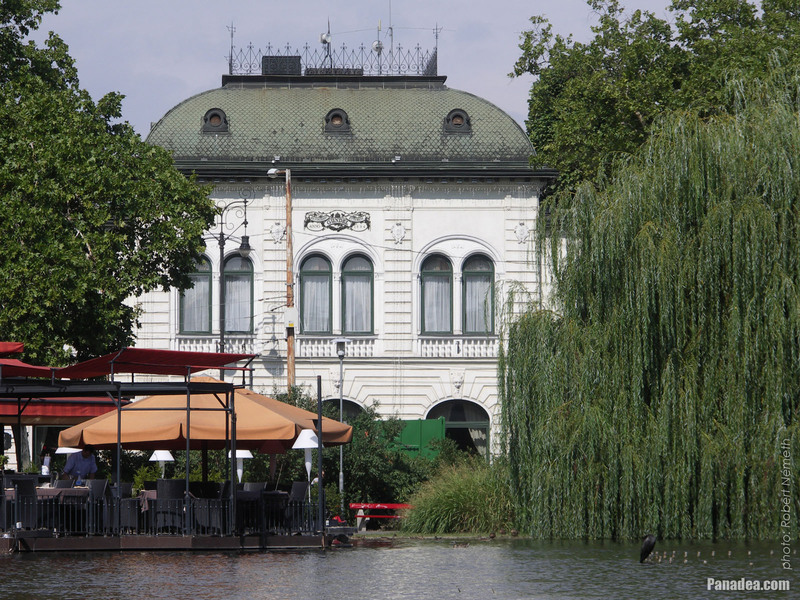 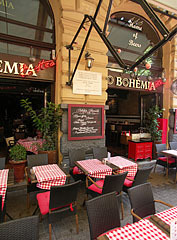 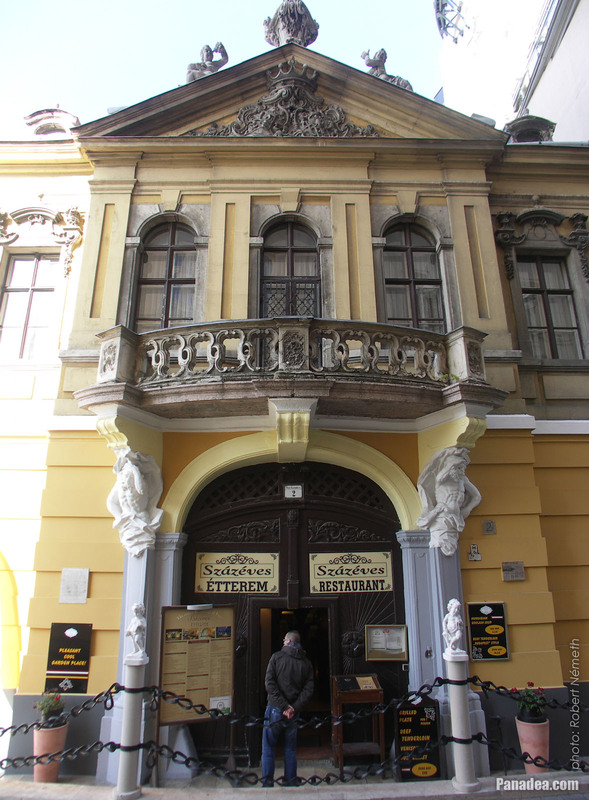 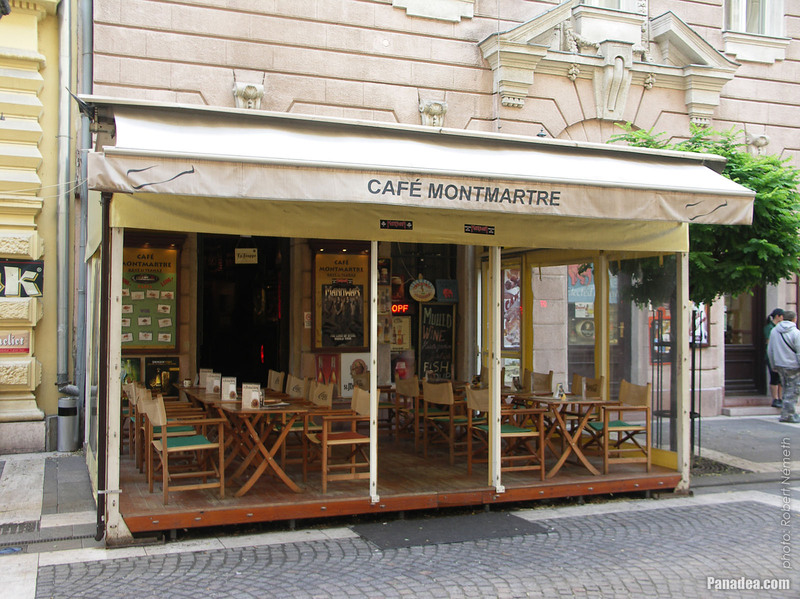 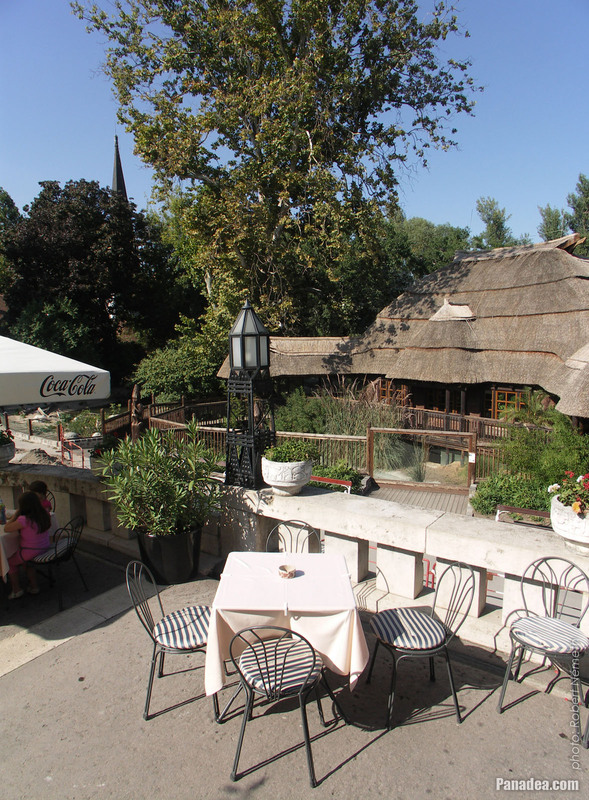 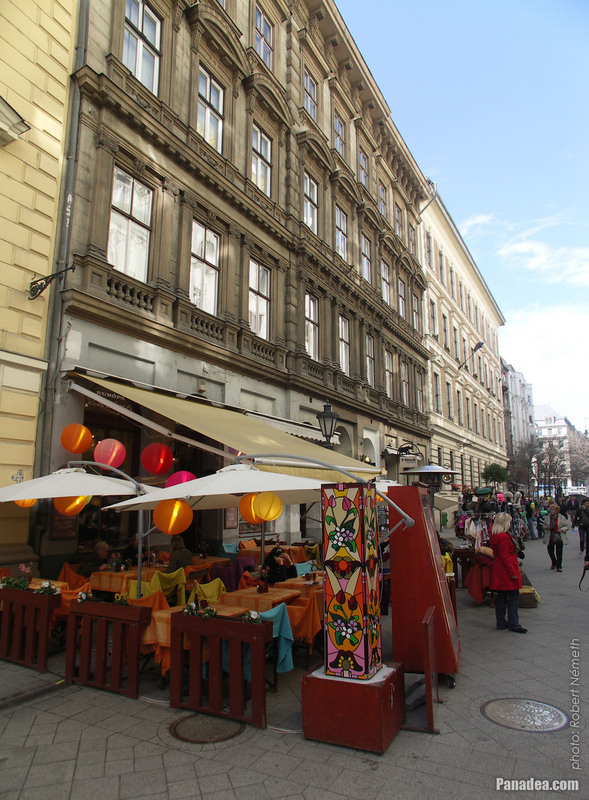 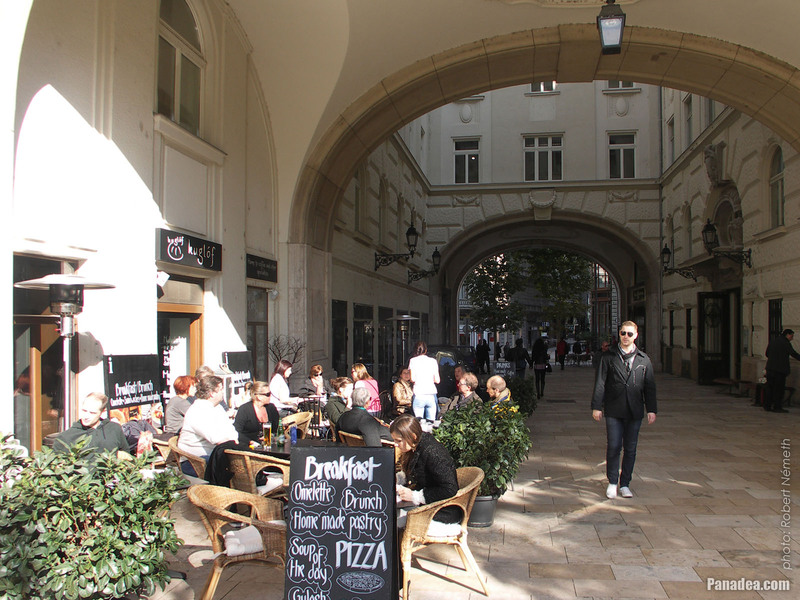 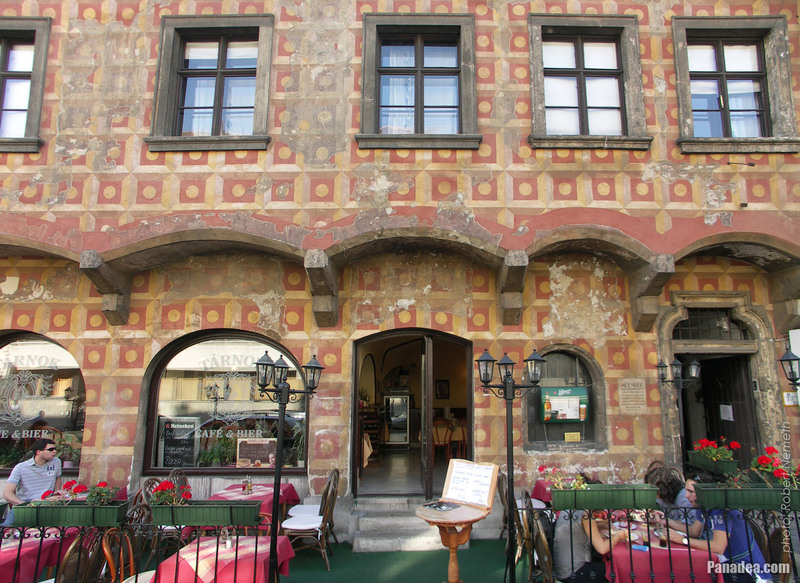 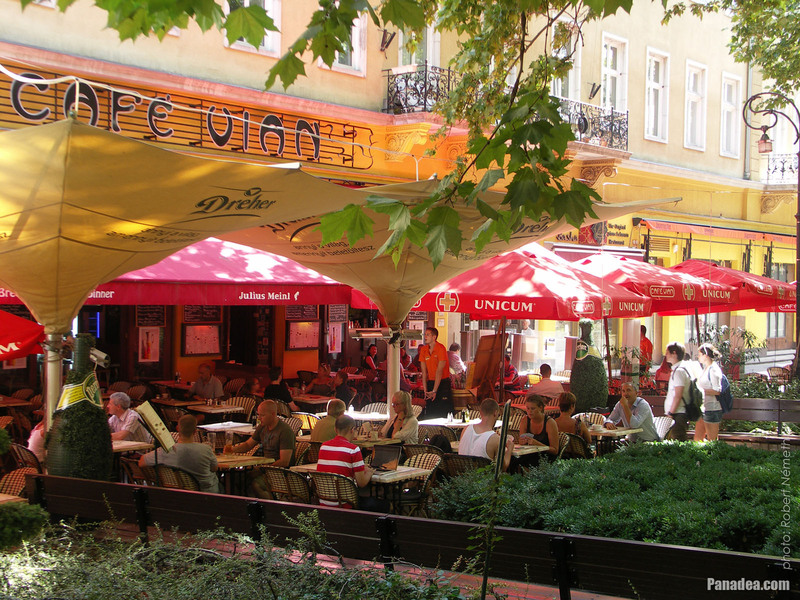 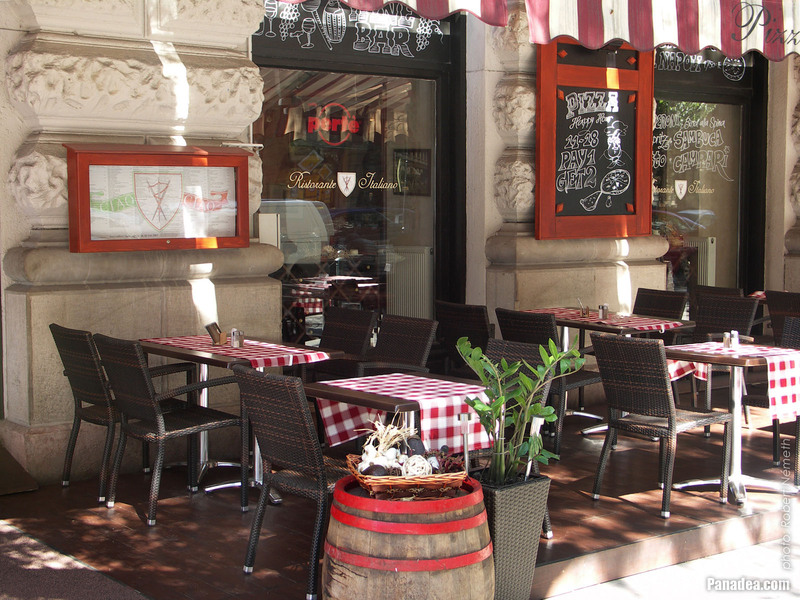 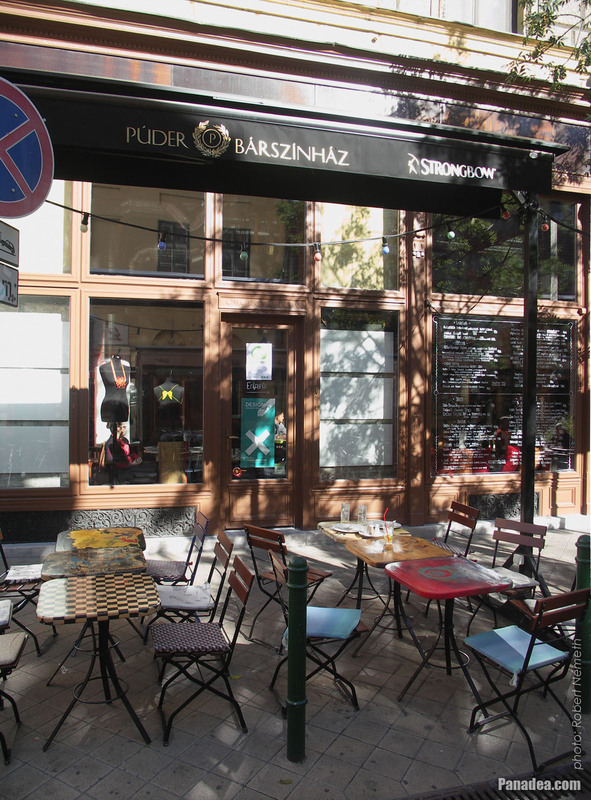 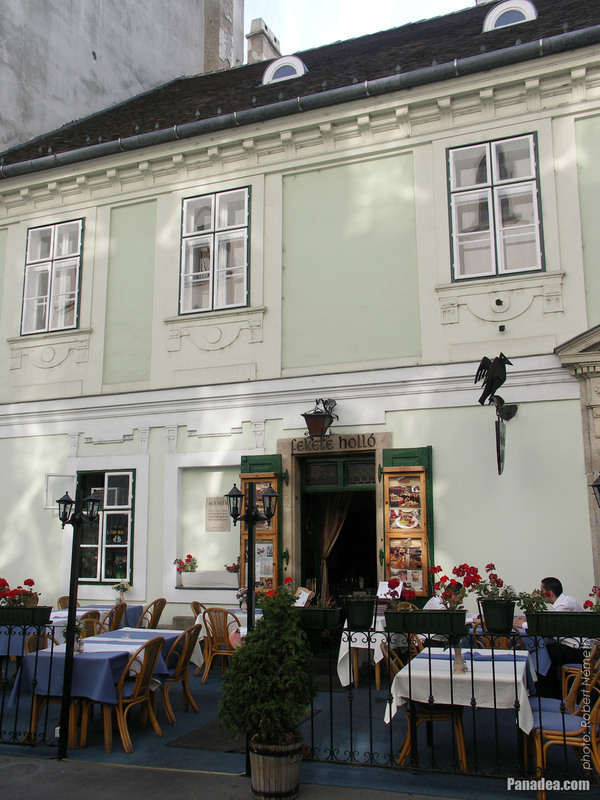 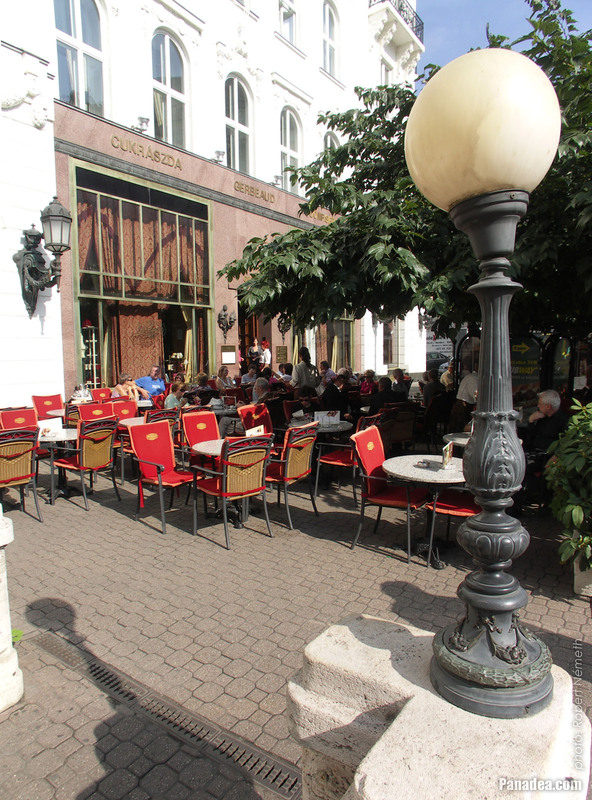 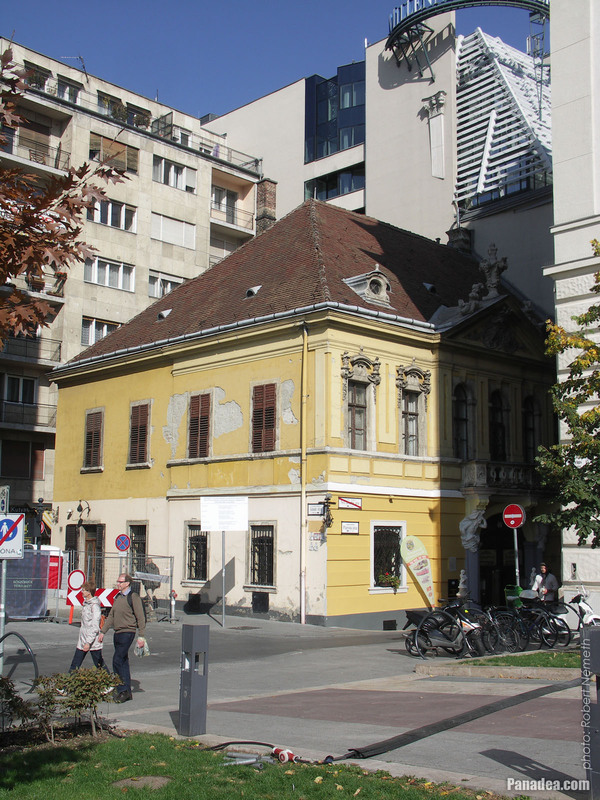 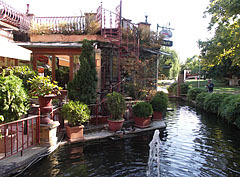 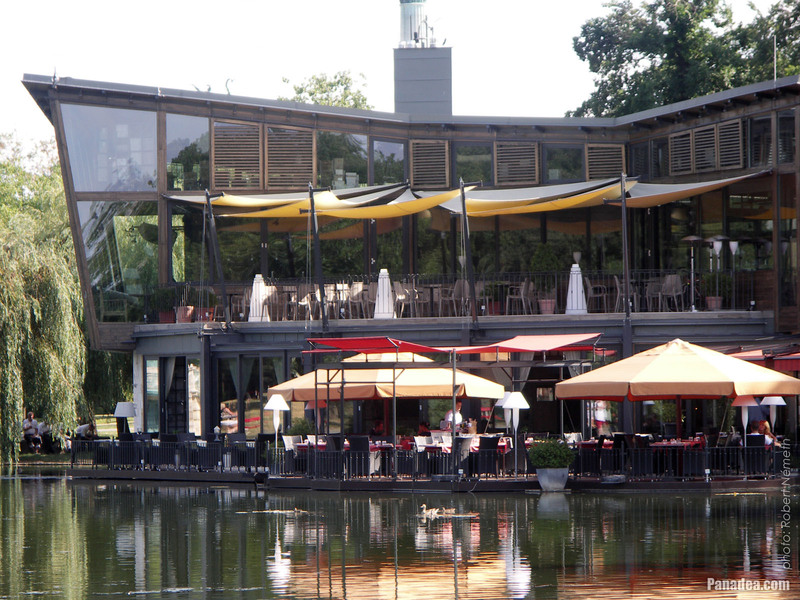 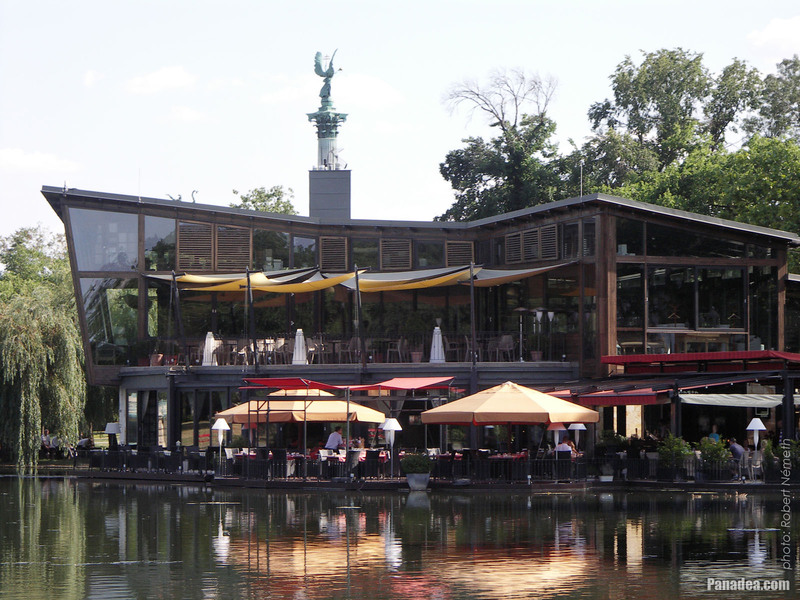 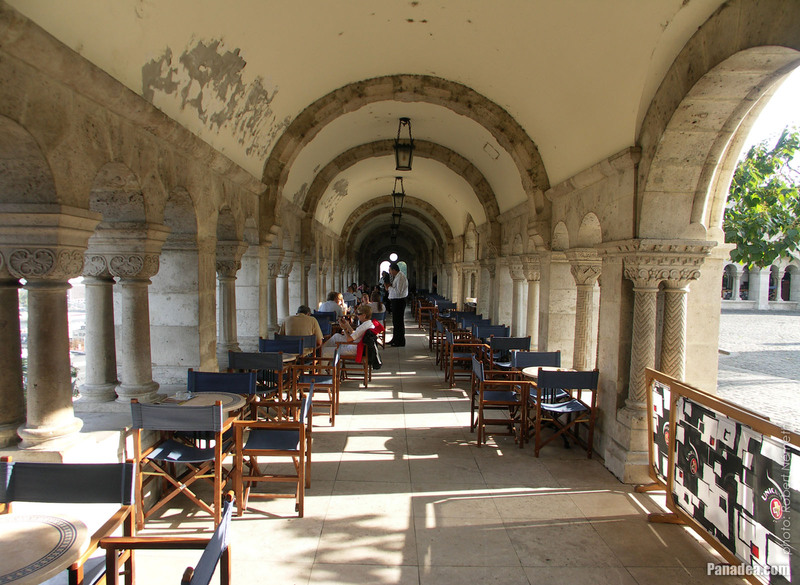 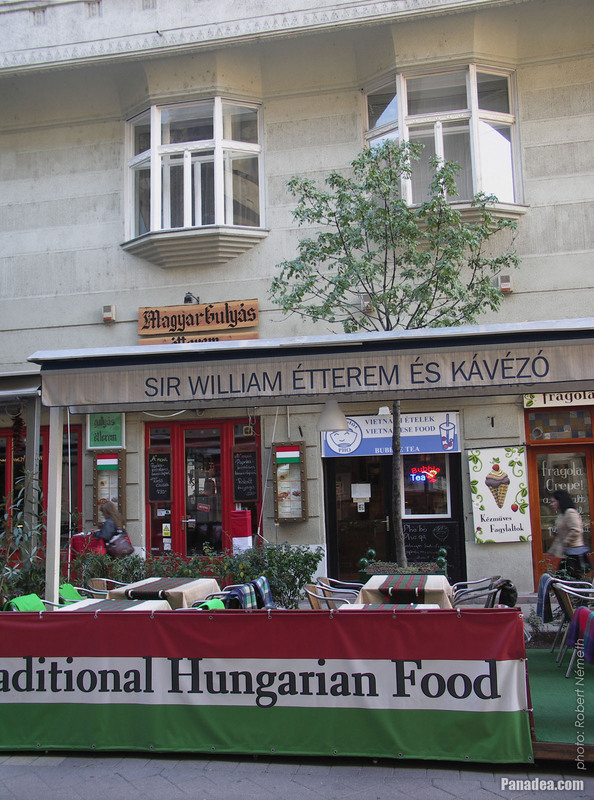 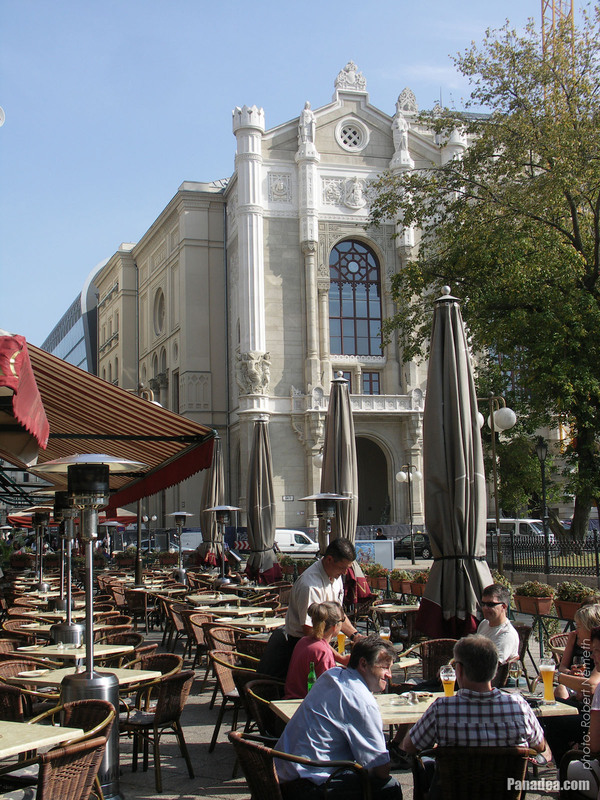 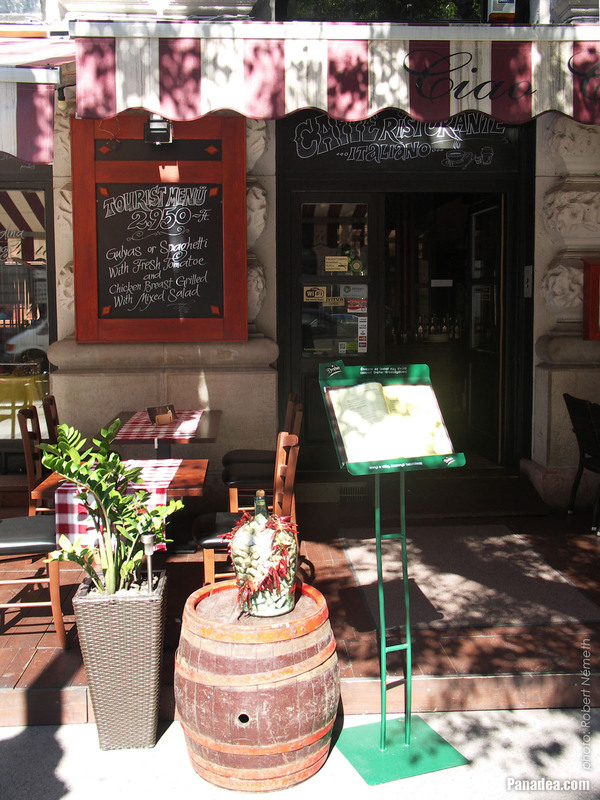 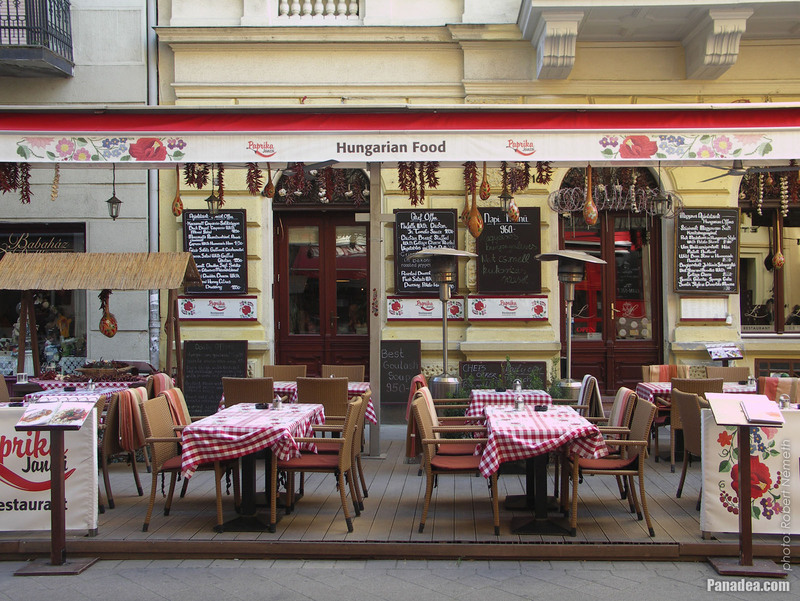 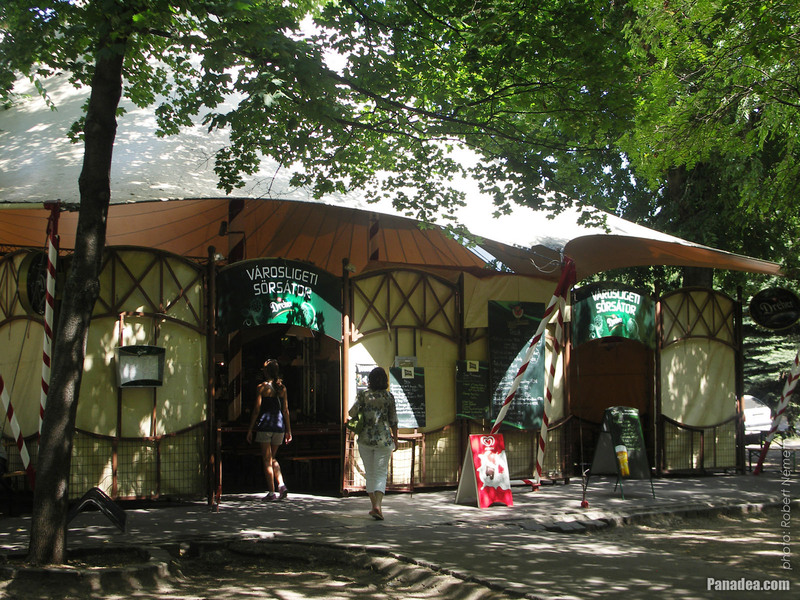 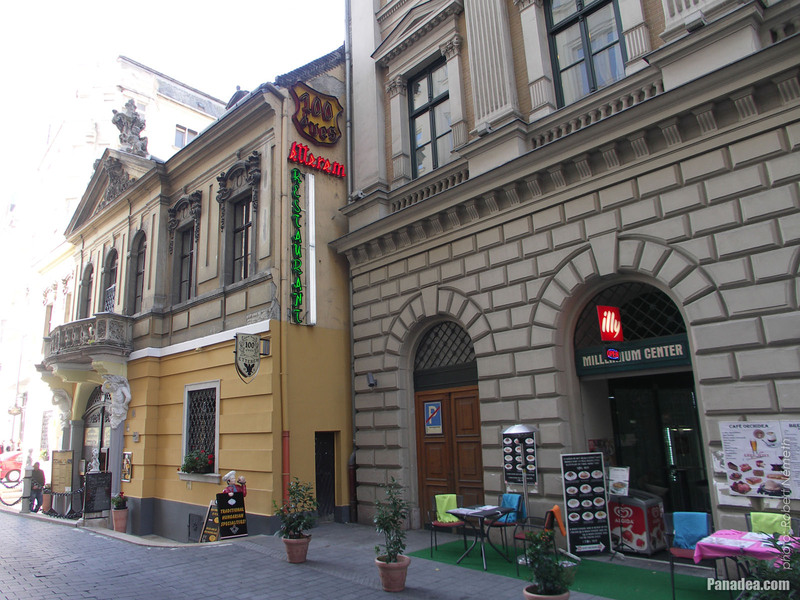 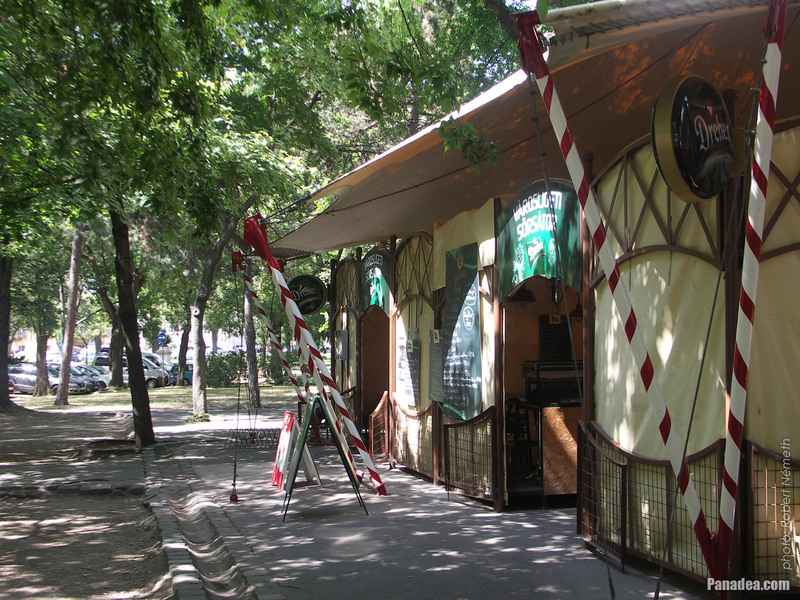 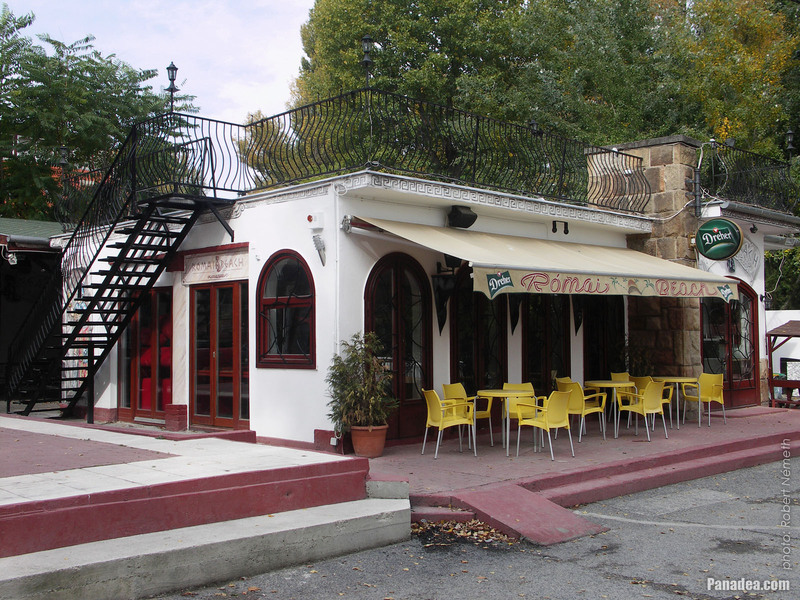 That building included the restaurant and beer hall of József Petanovits, too. 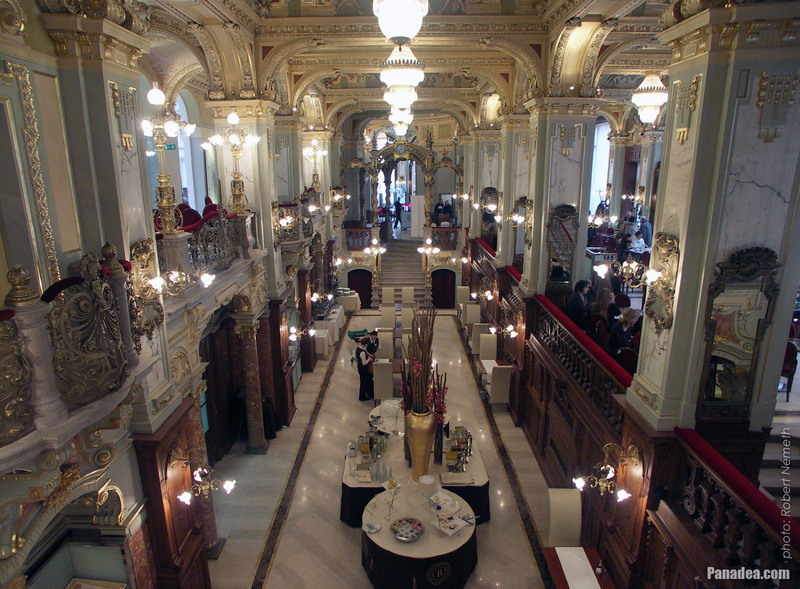 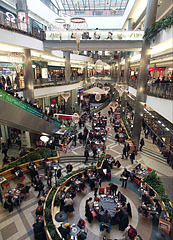 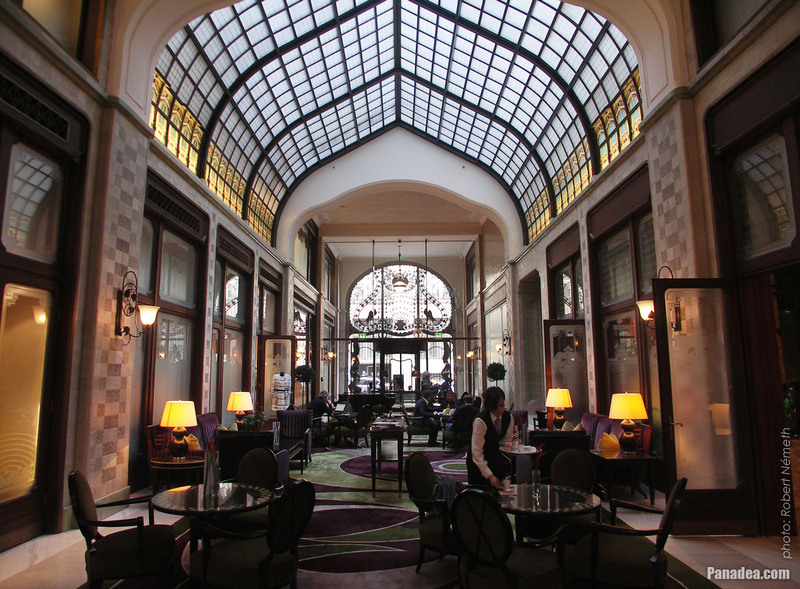 The Art Nouveau style luxury department store with its atrium was ahead of its time. 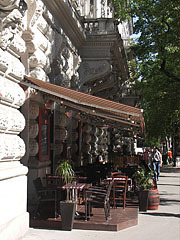 Before the construction was started the side of the casino that overlooked the Andrássy Avenue had to be torn down, because its foundation seemed to be too weak. 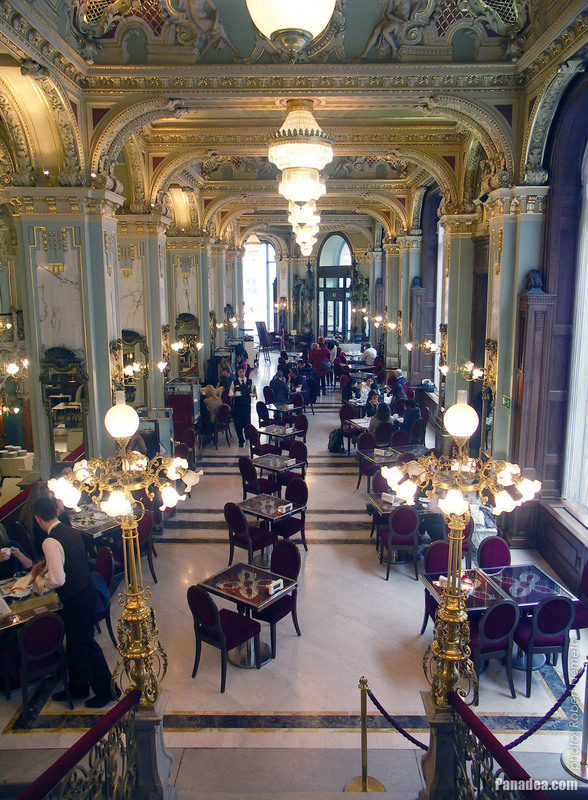 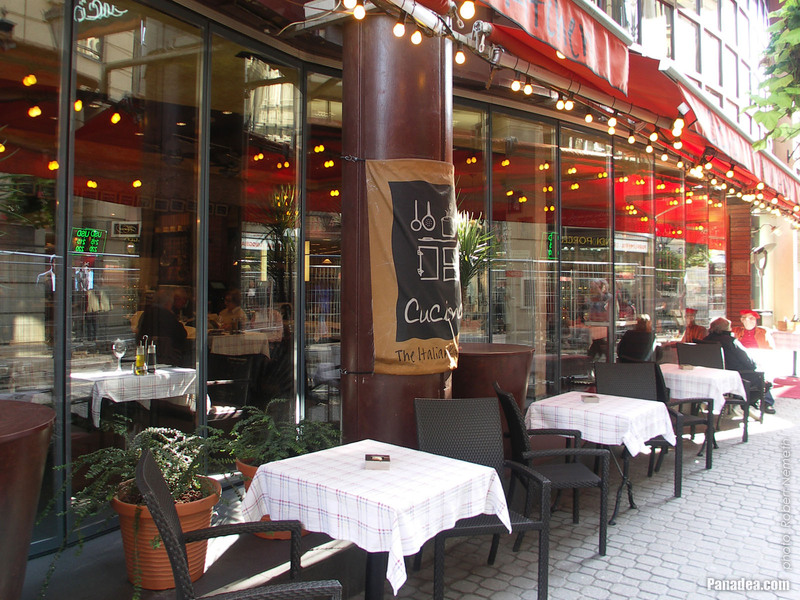 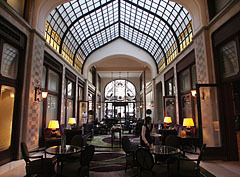 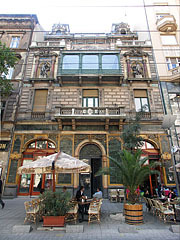 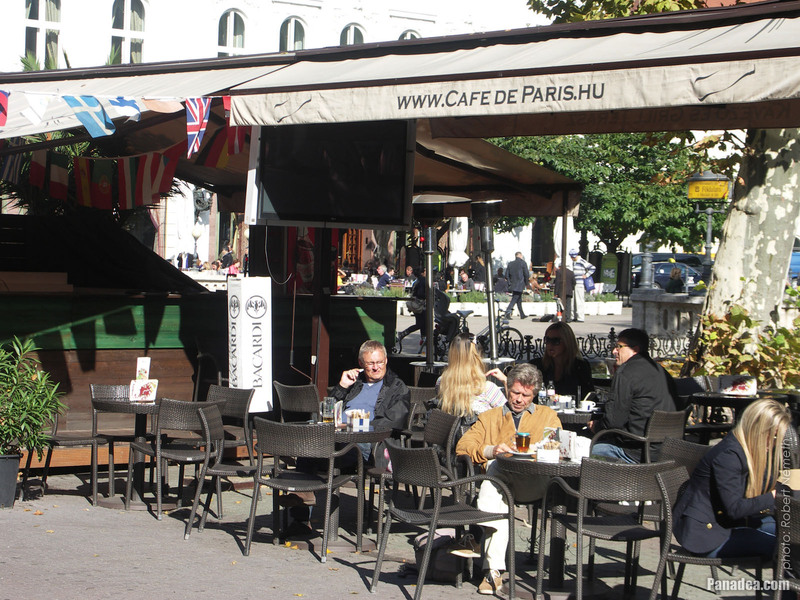 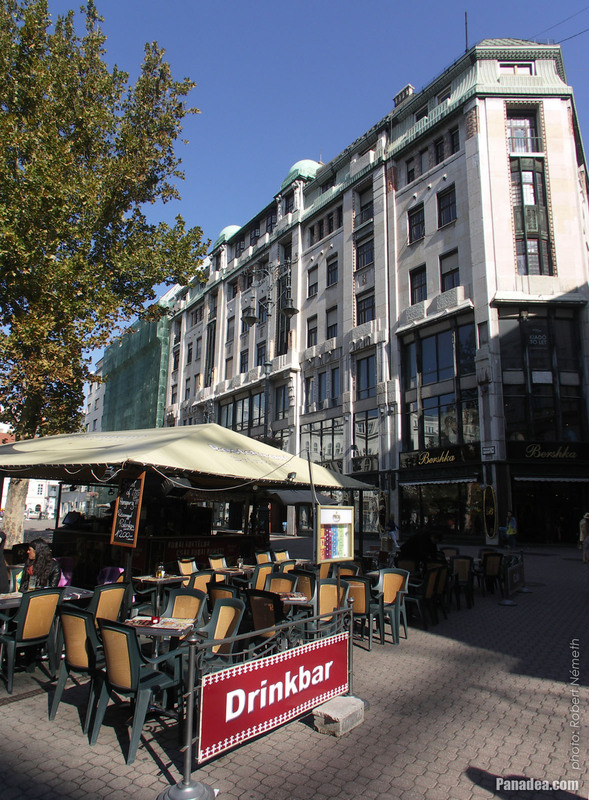 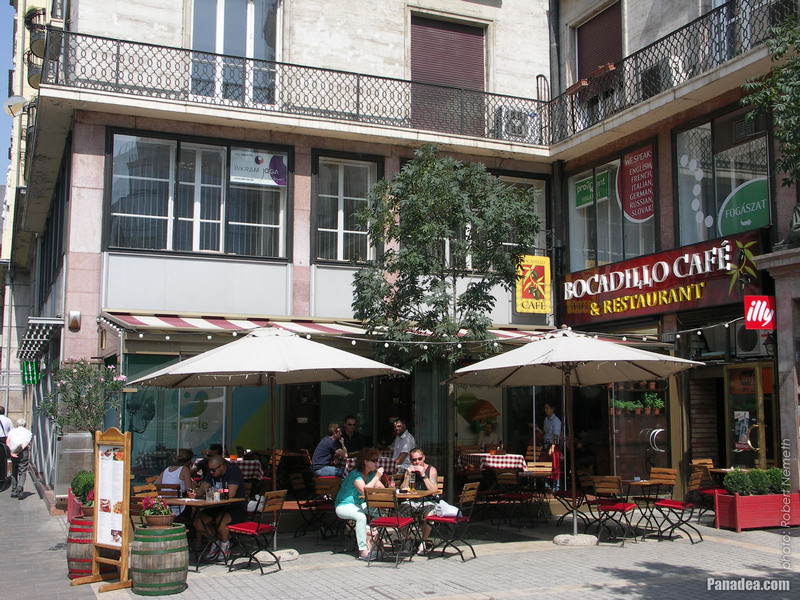 But the rear side of the casino building, that faces to the Paulay Ede Street was survived and today still exists, it can be seen by entering the coffehouse upstairs in the Paris Department Store. 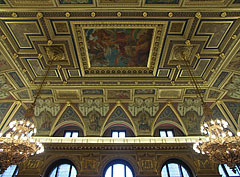 The renovated magnificent Lotz Hall shines in its old splendor again, the ceiling frescoes were created by the Hungarian painter Károly Lotz in 1885, the paintings are called "The apotheosis of Budapest" (the word "apotheosis" means celebration or glorification). 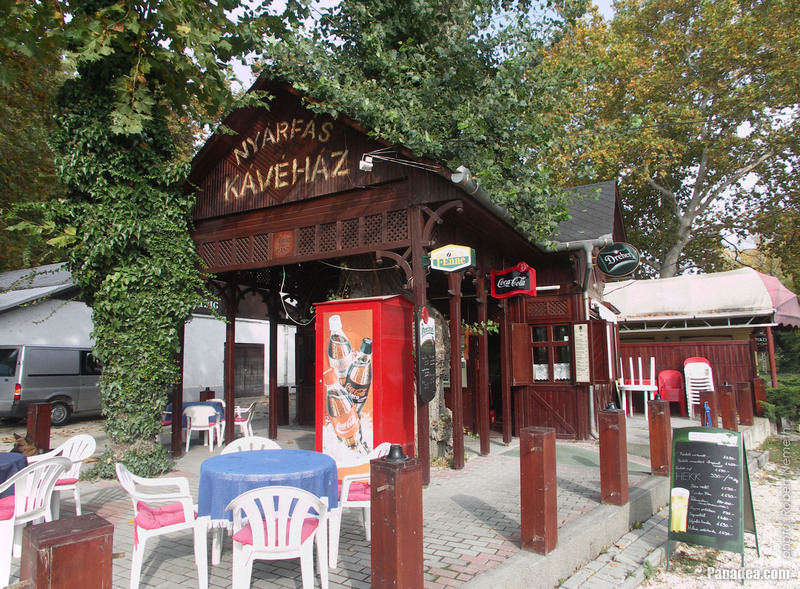 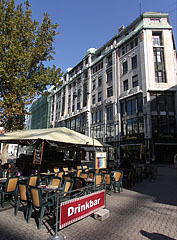 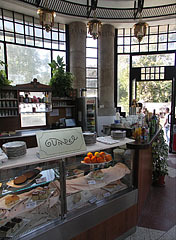 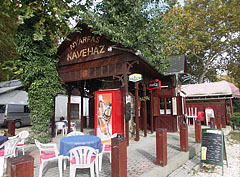 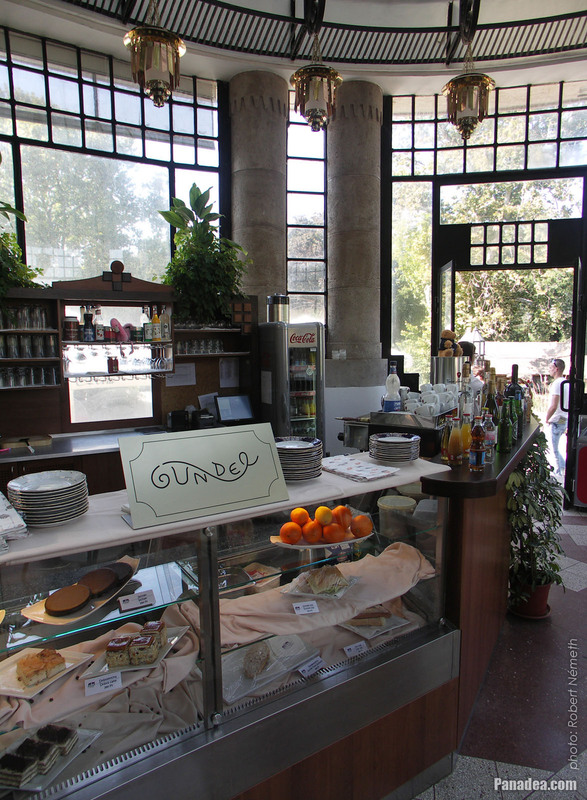 The building that includes the fastfood restaurant on the Nyugat Square is a listed, protected monument. 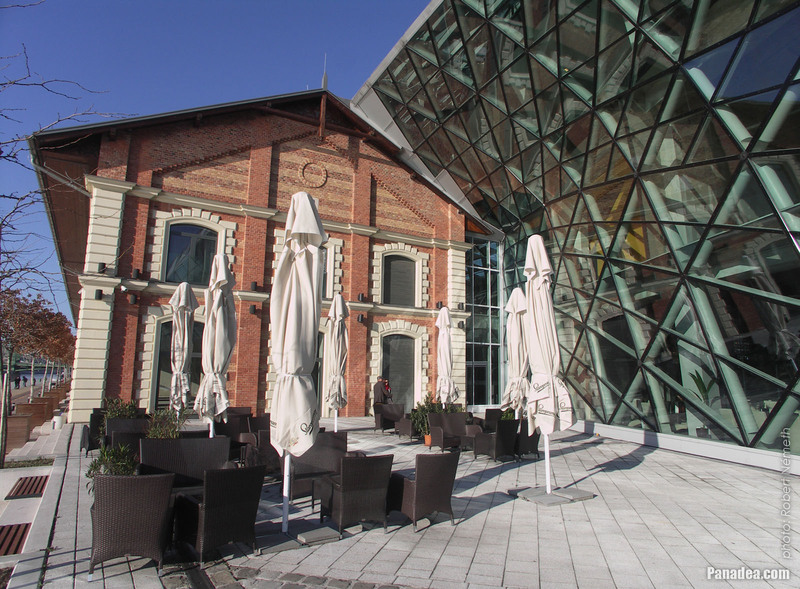 Initially it was part of the Nyugati Railway Station which was built between 1874-1877, it was the reception building of Queen "Sisi" (Elisabeth of Austria), designed by the architectural firm of Gustave Eiffel. 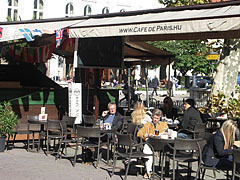 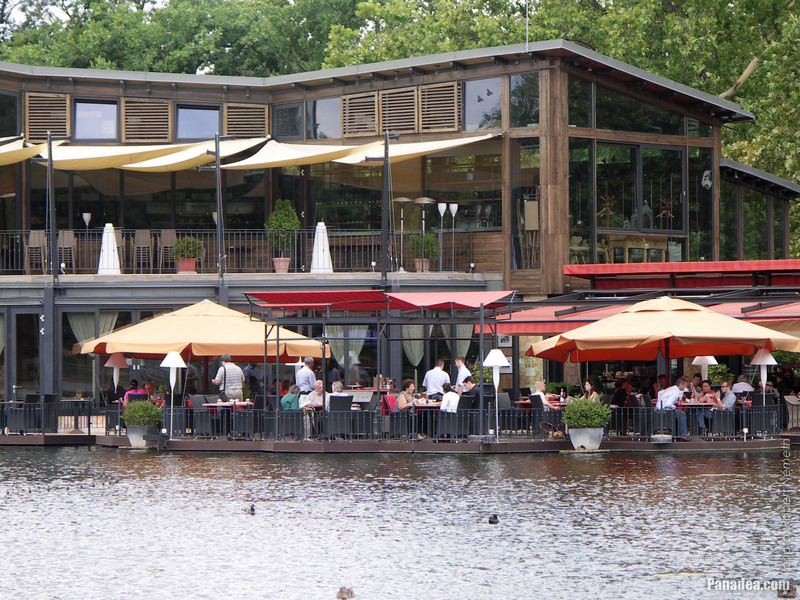 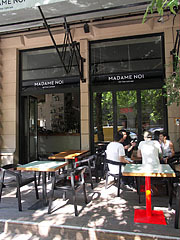 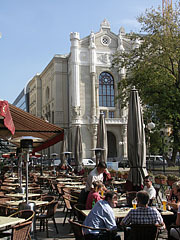 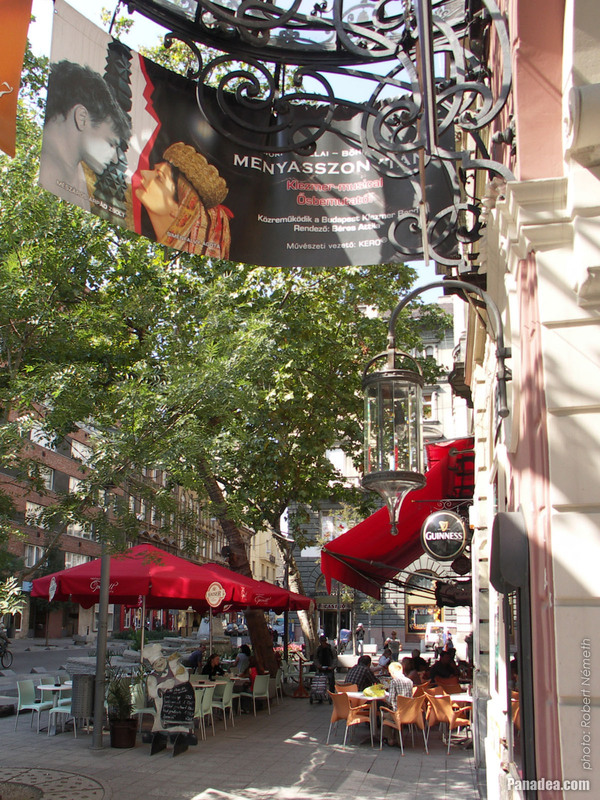 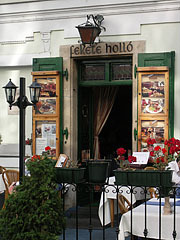 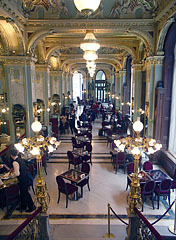 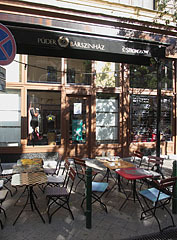 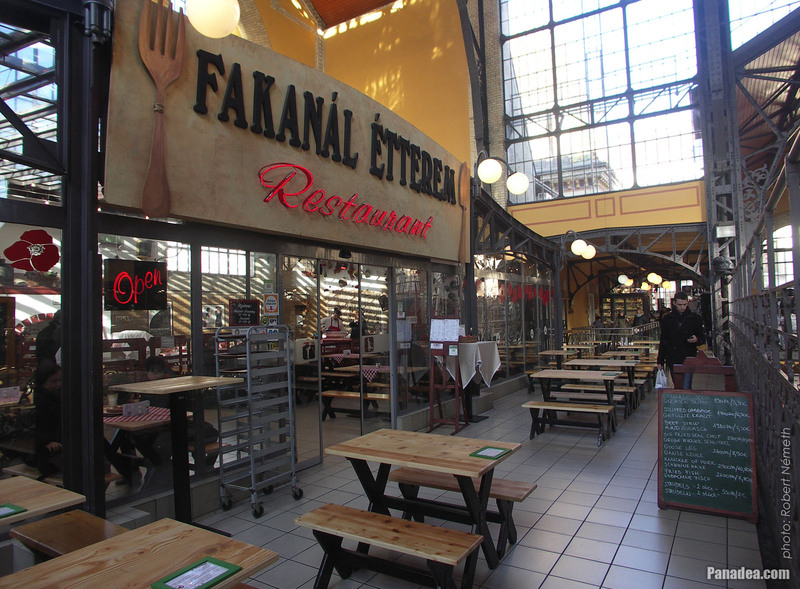 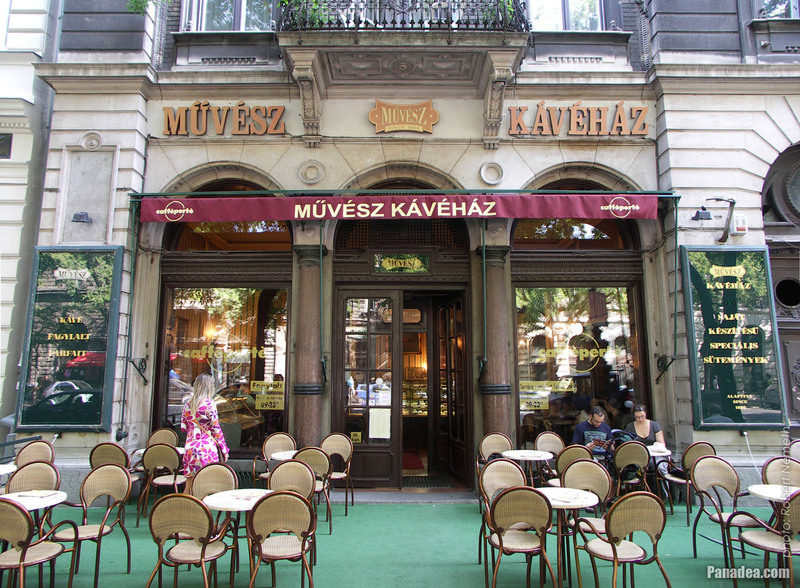 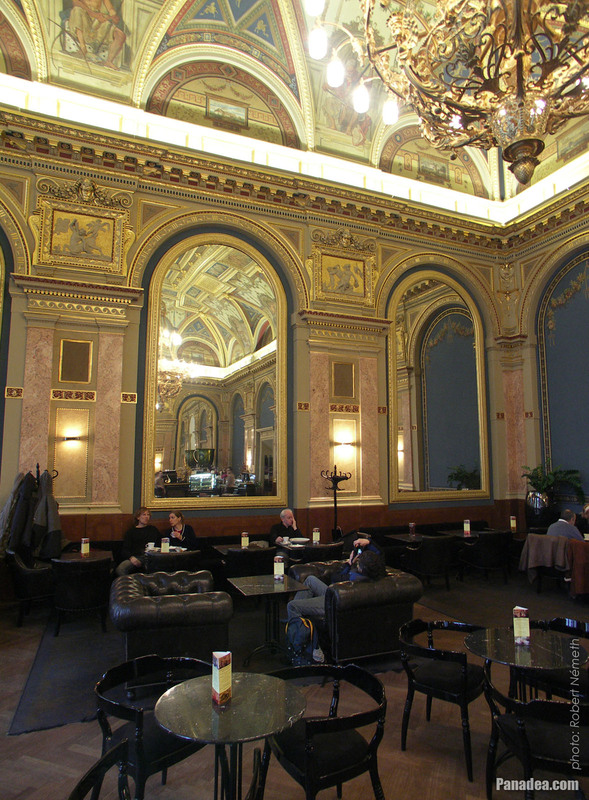 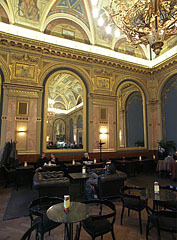 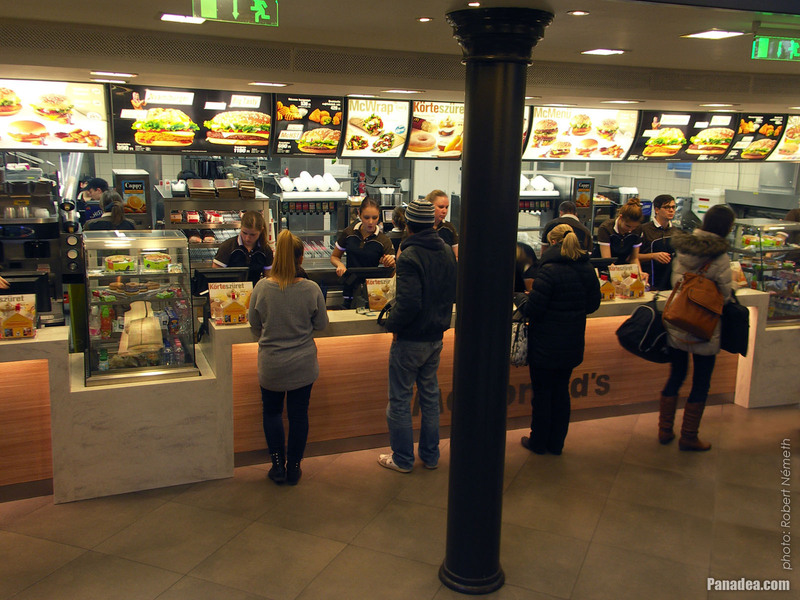 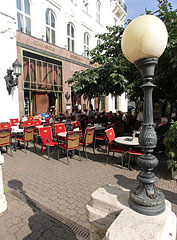 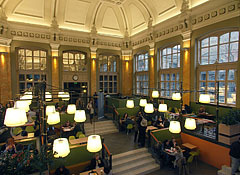 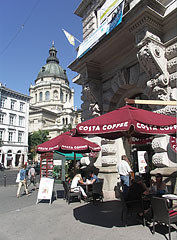 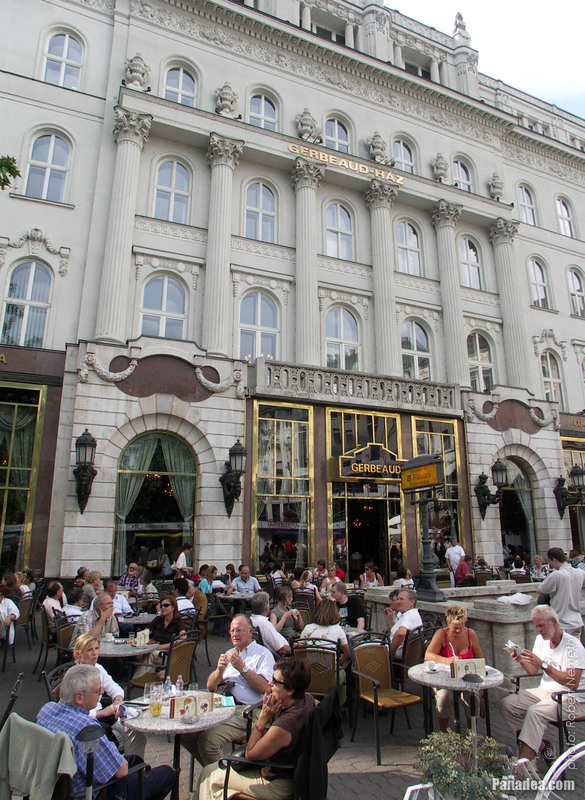 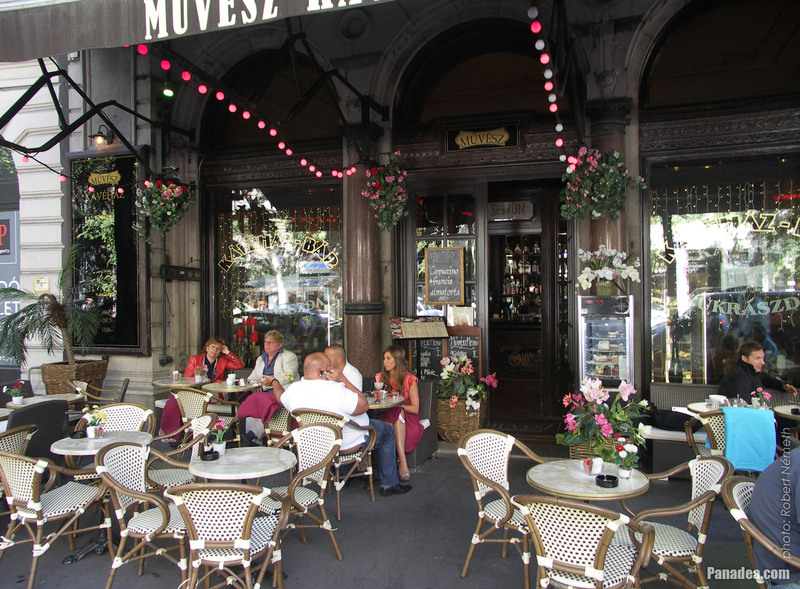 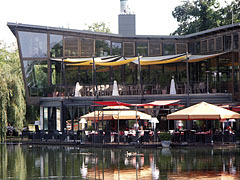 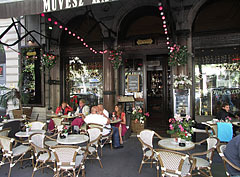 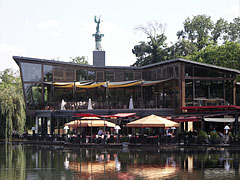 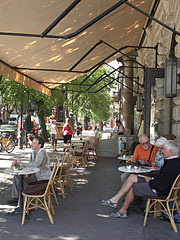 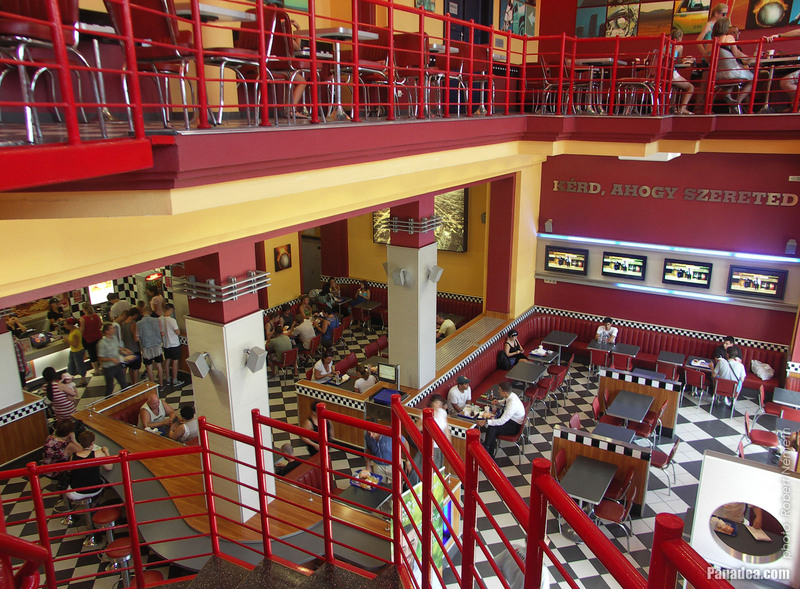 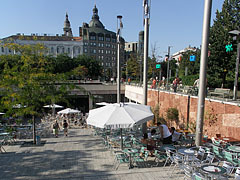 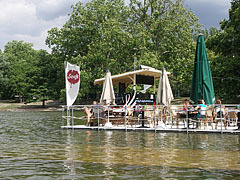 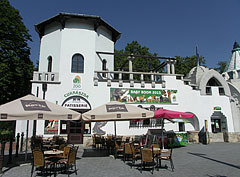 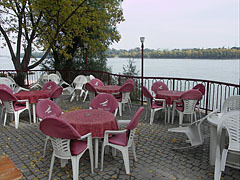 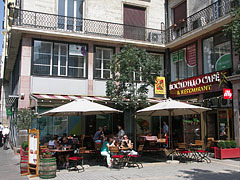 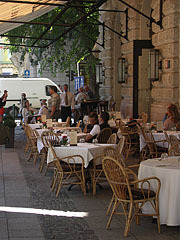 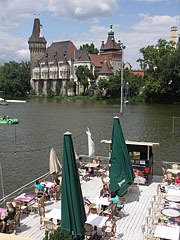 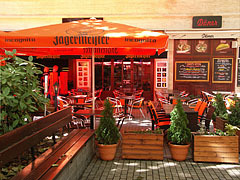 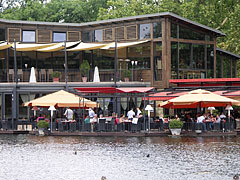 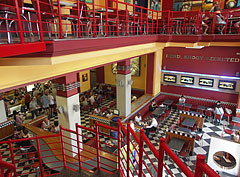 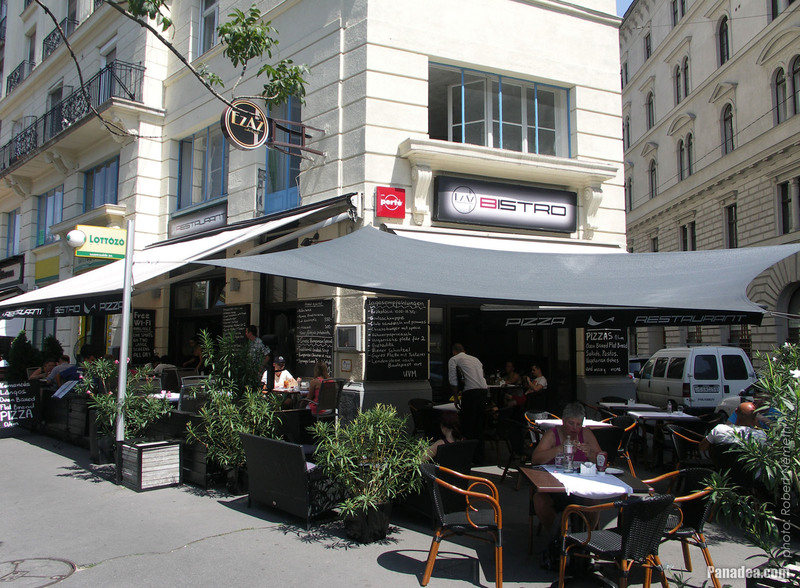 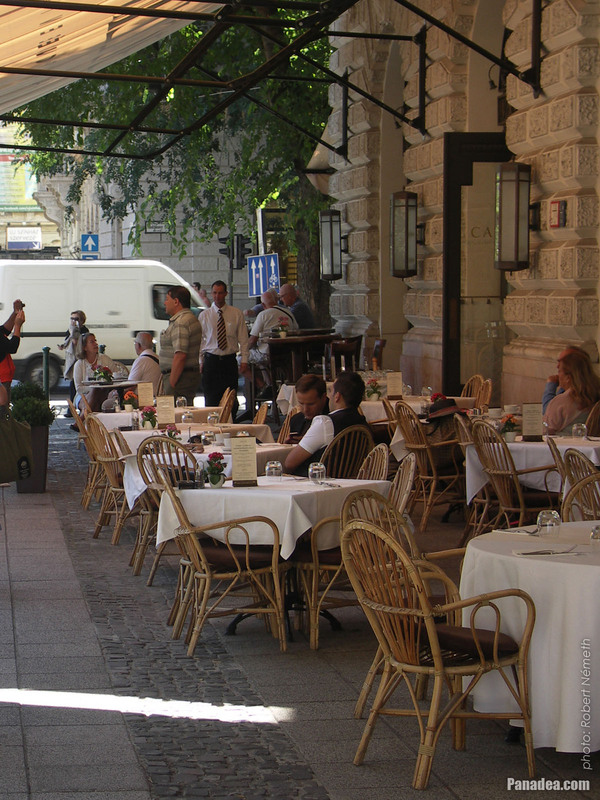 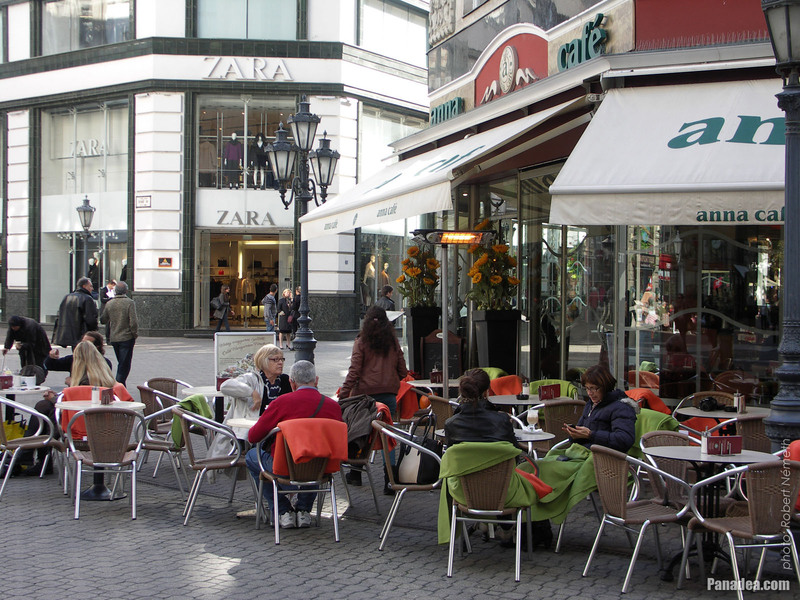 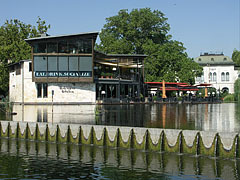 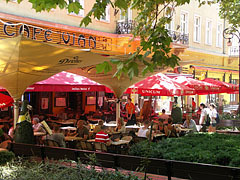 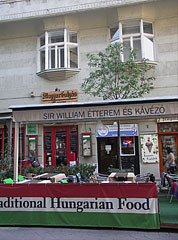 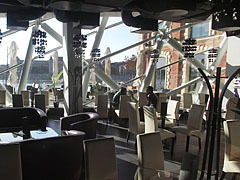 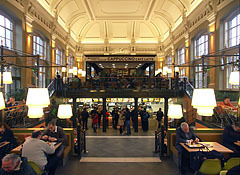 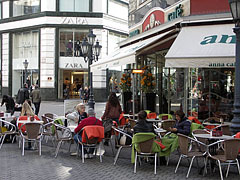 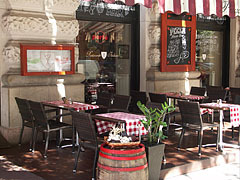 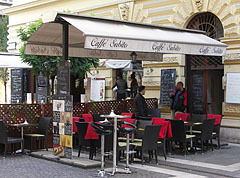 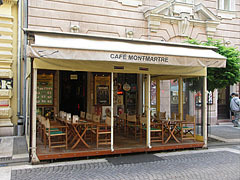 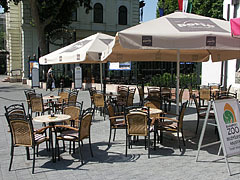 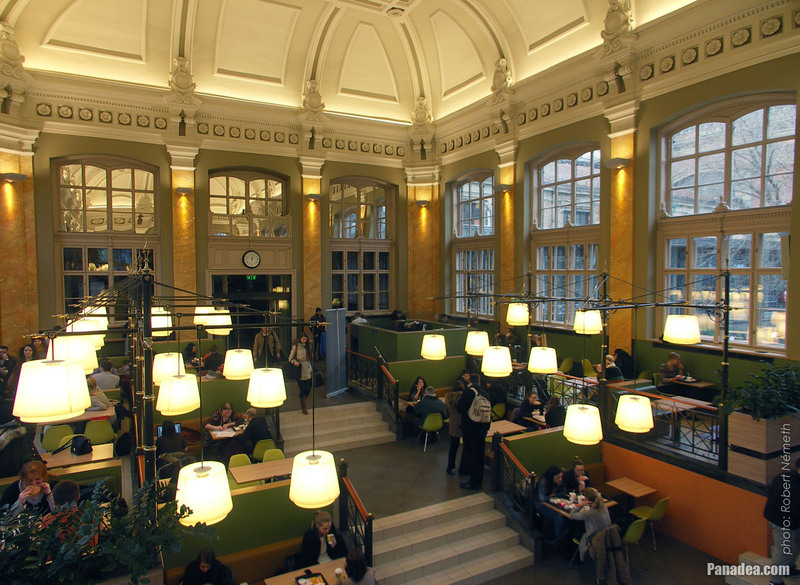 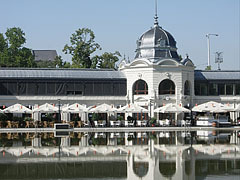 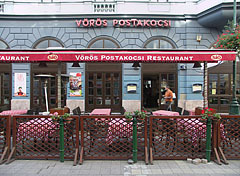 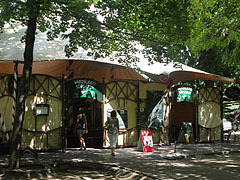 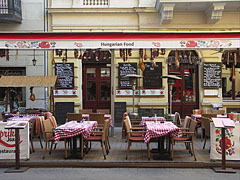 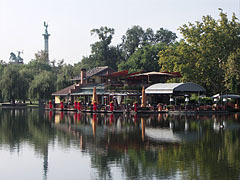 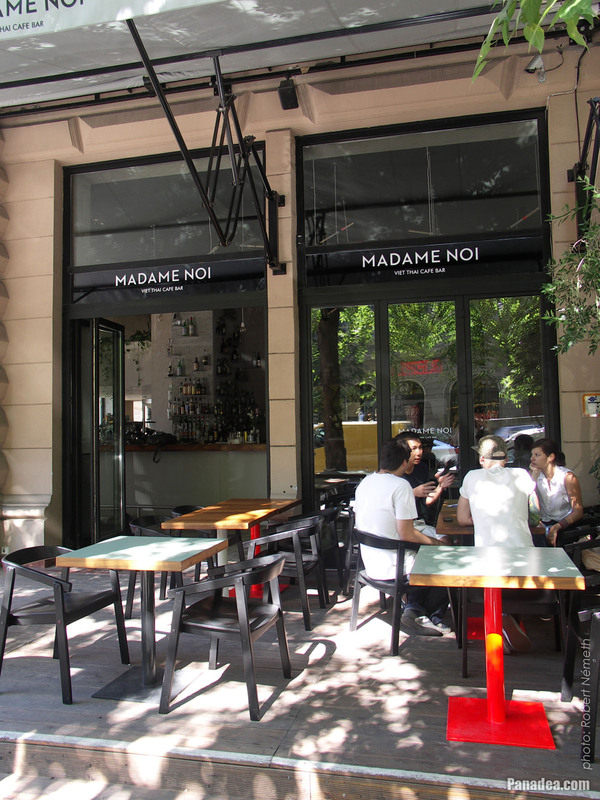 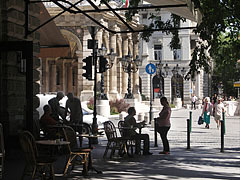 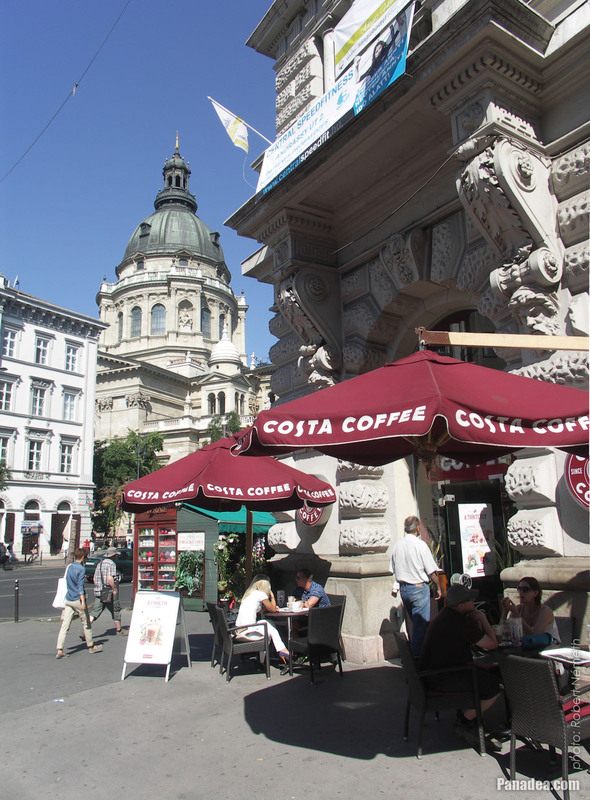 In 2009 this fastfood restaurant on Nyugati Square, Budapest, Hungary was chosen the second most beautiful McDonald's restaurant in the world by the Askmen.com online men's magazine. 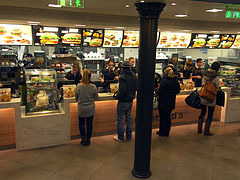 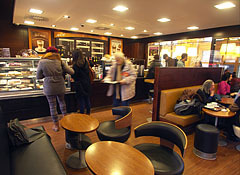 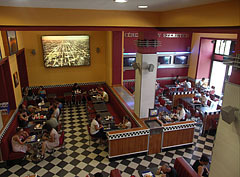 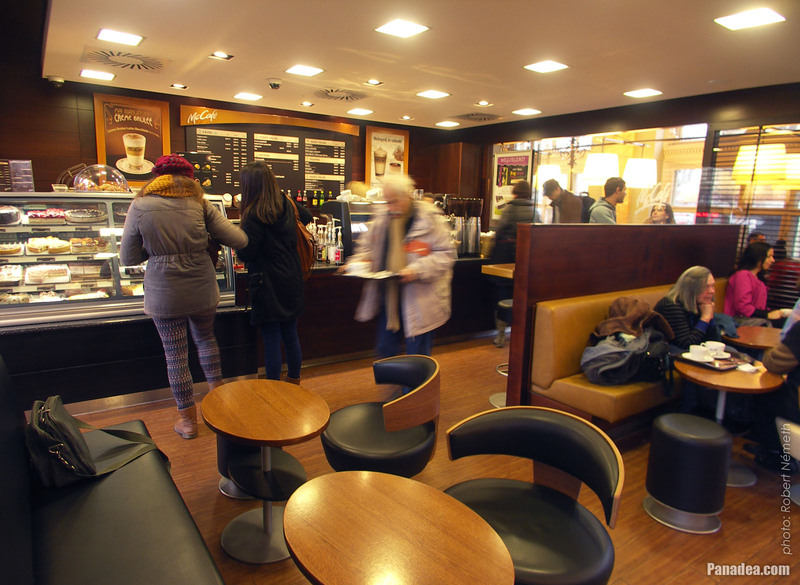 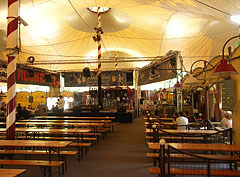 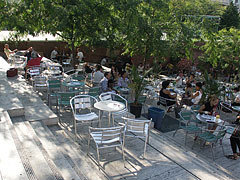 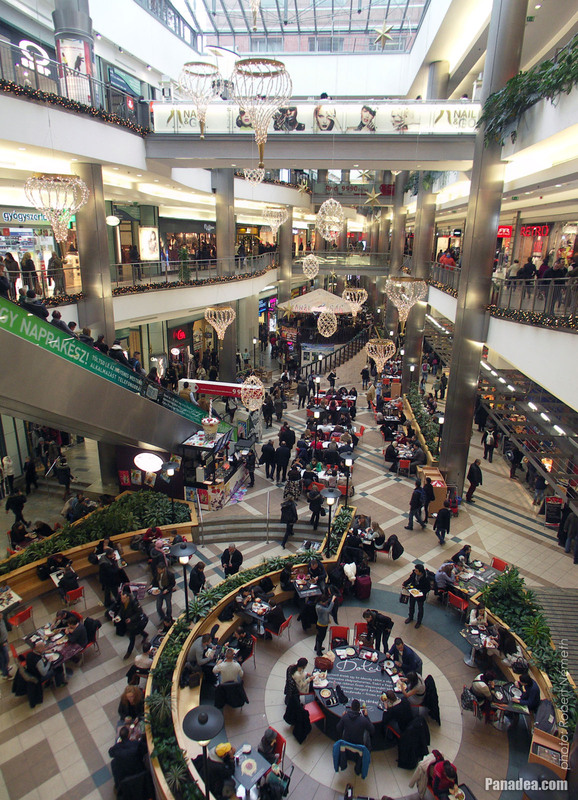 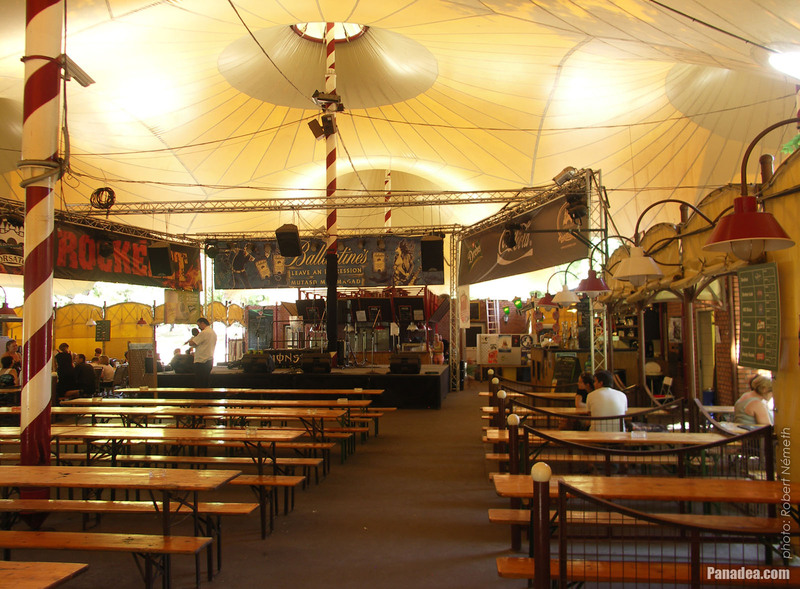 This picture shows the renovated and redesigned new interior, that was completed in December 2010. 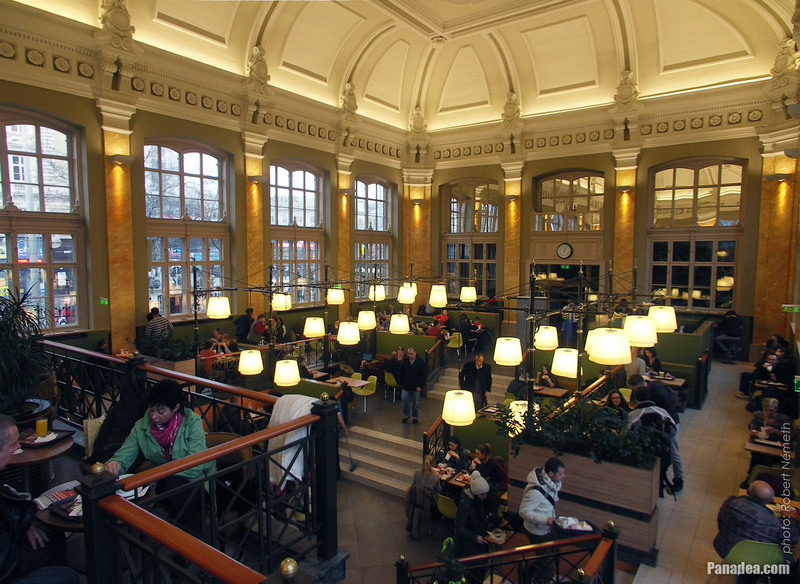 It has slightly more subdued color scheme, but even more elegant furniture and lighting as before.